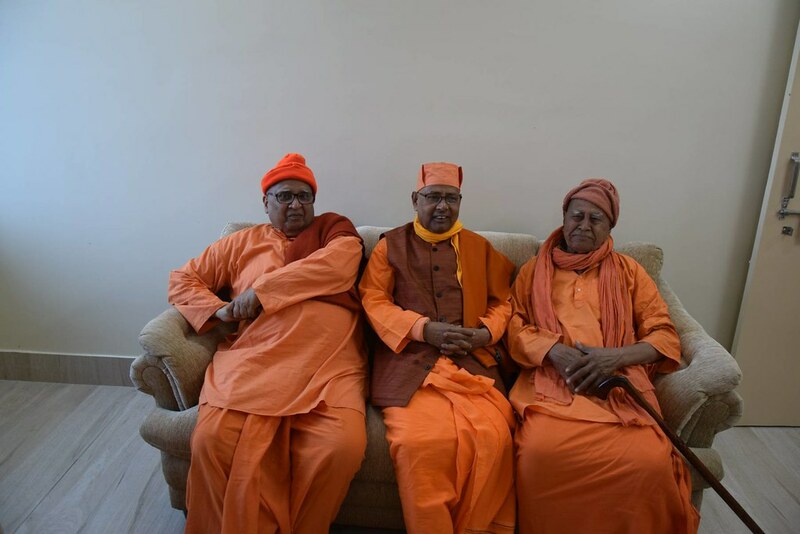 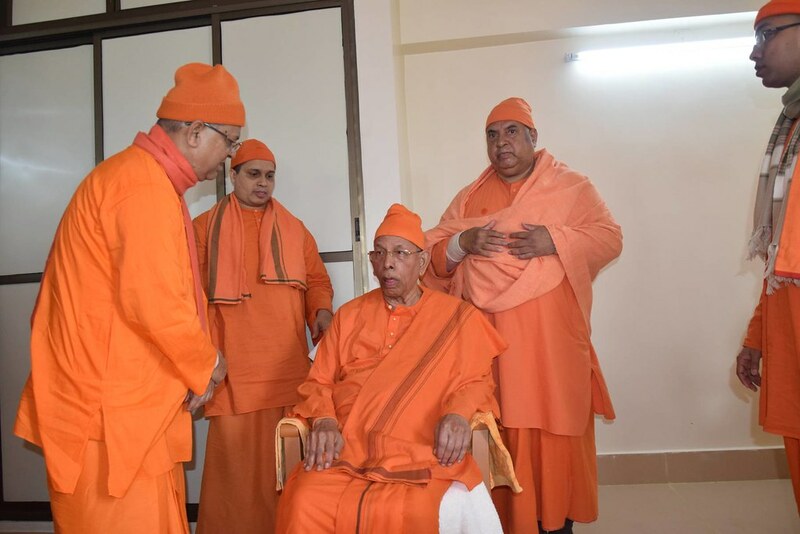 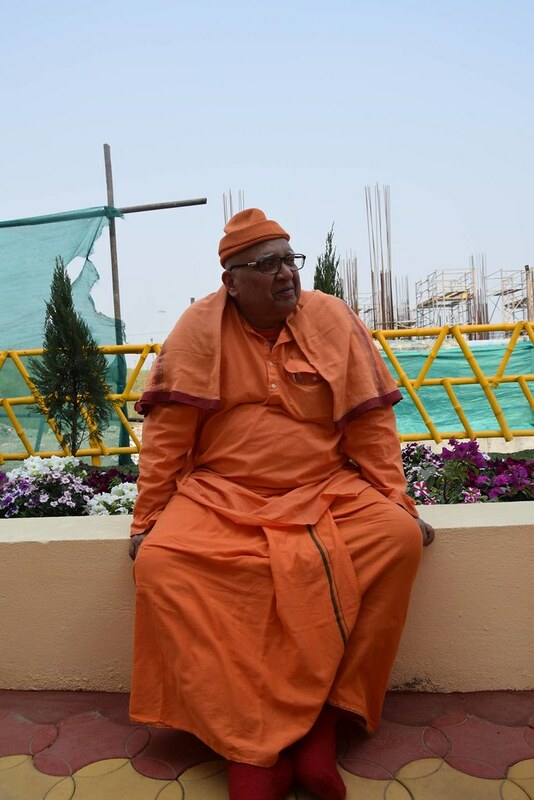 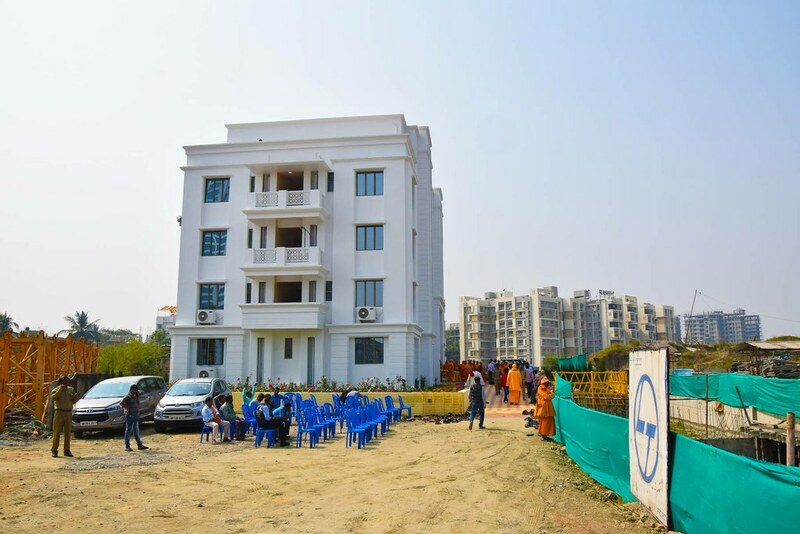 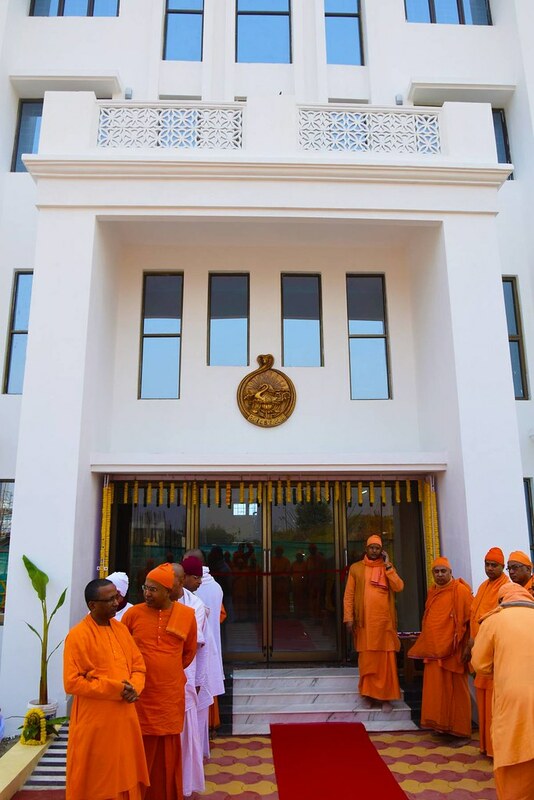 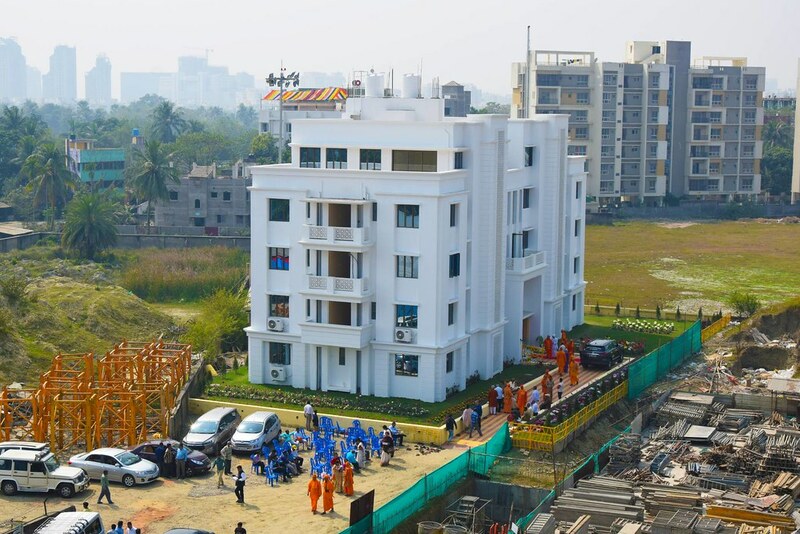 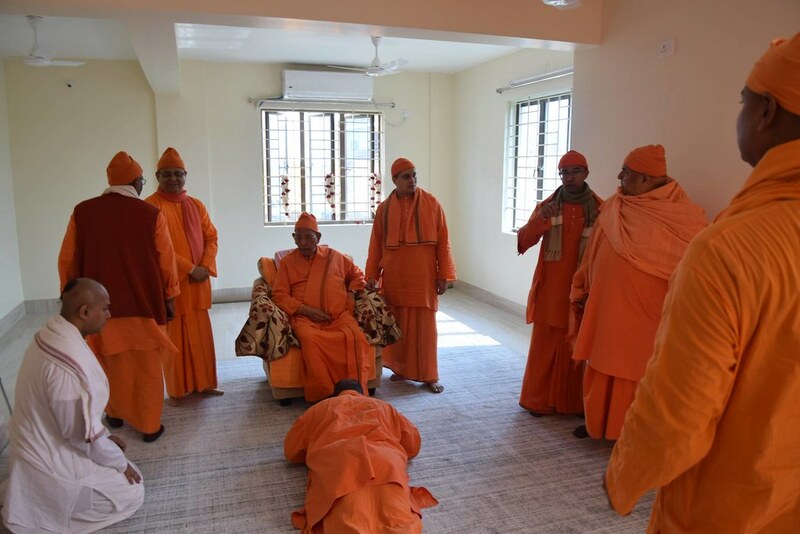 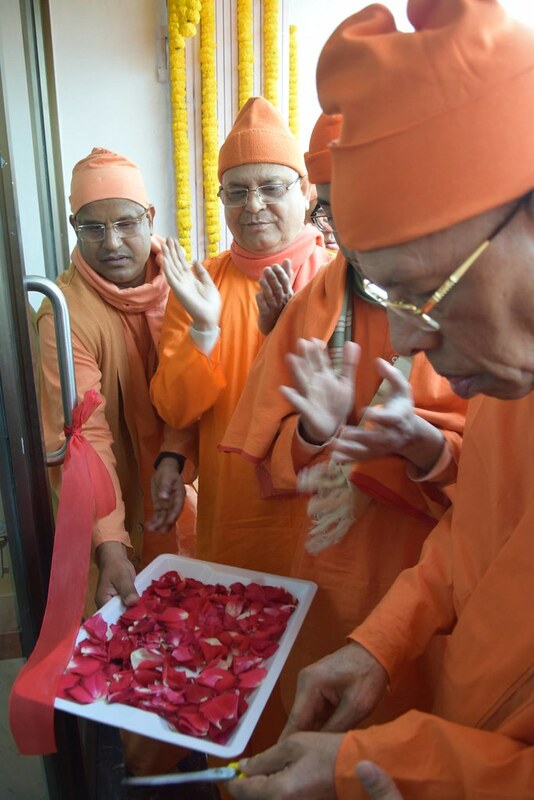 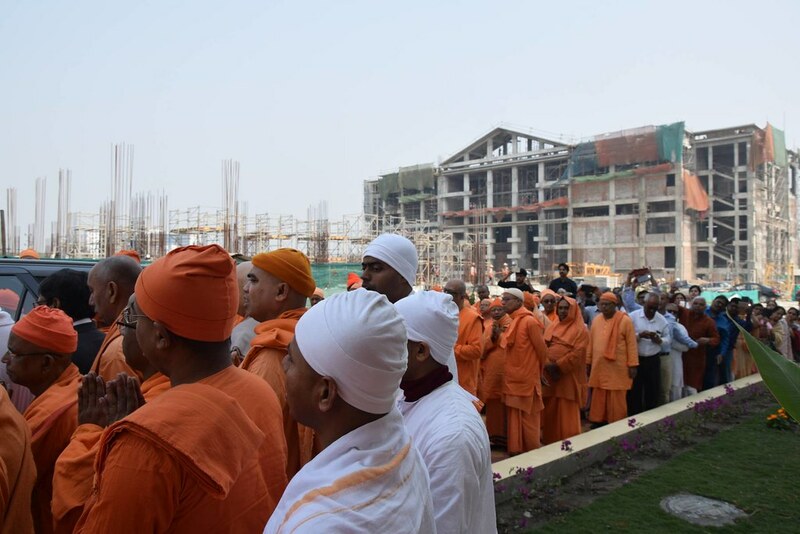 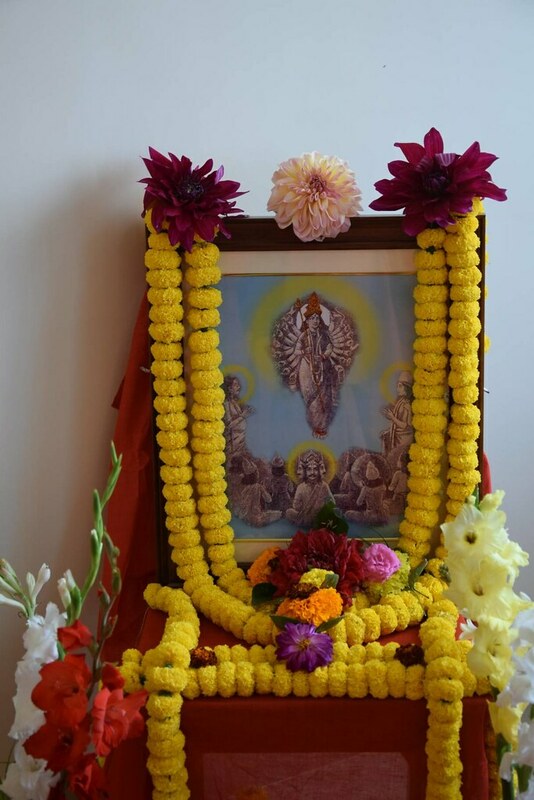 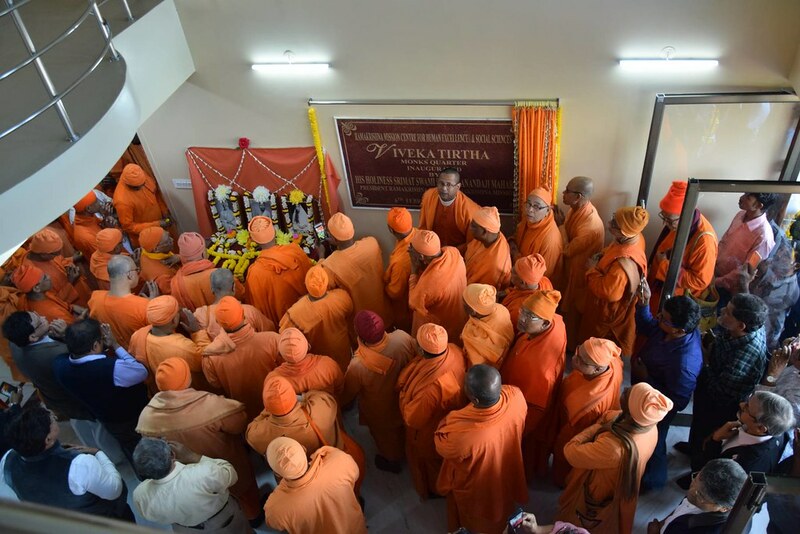 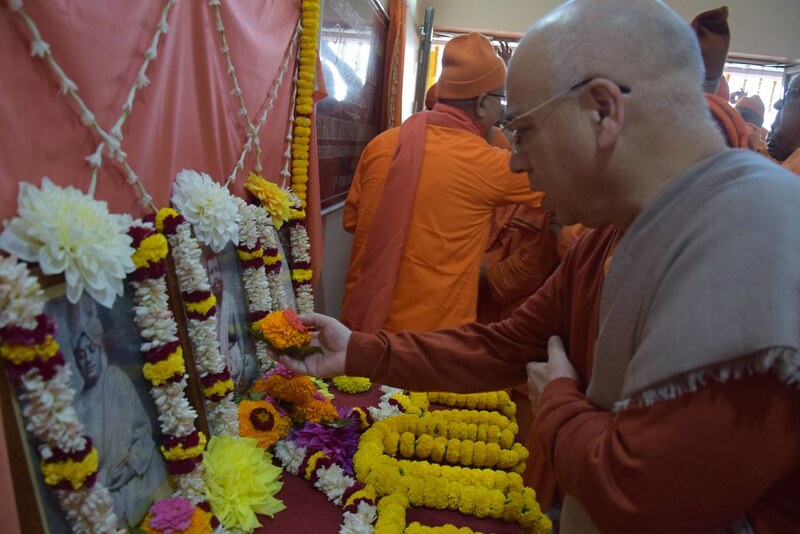 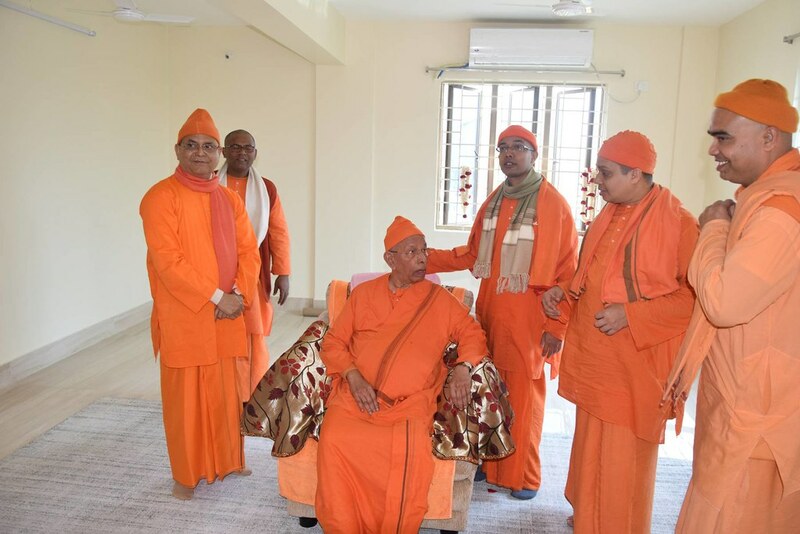 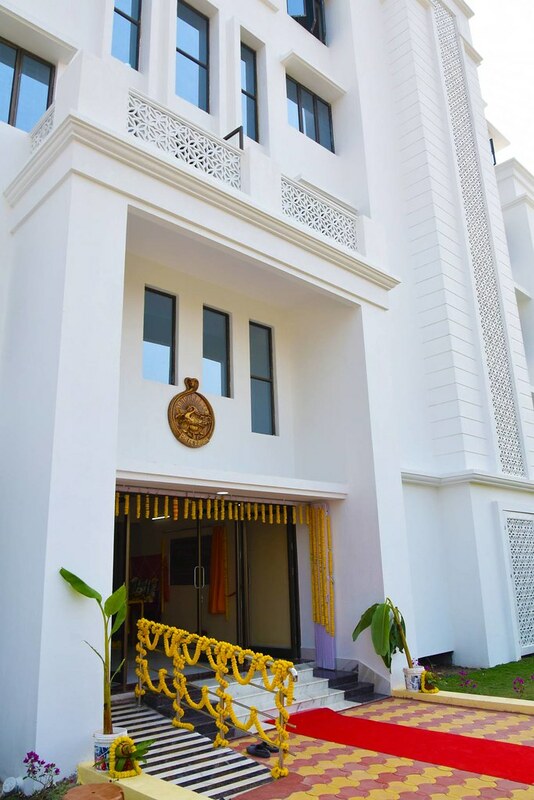 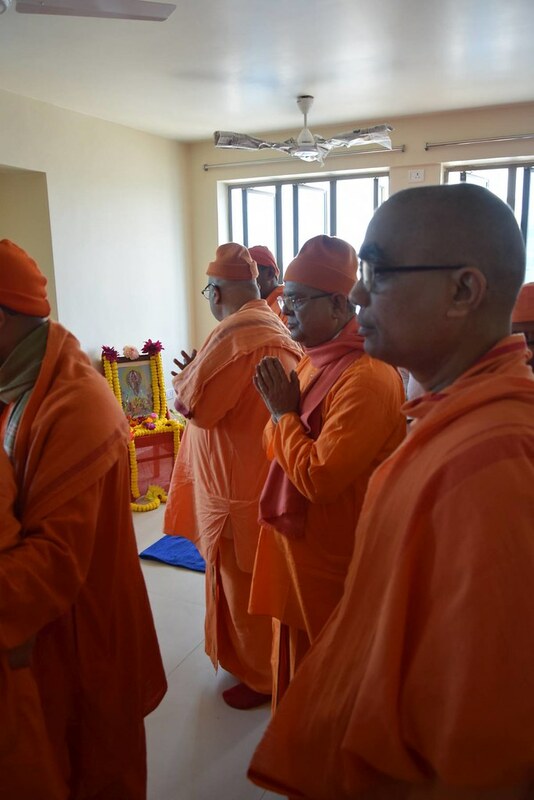 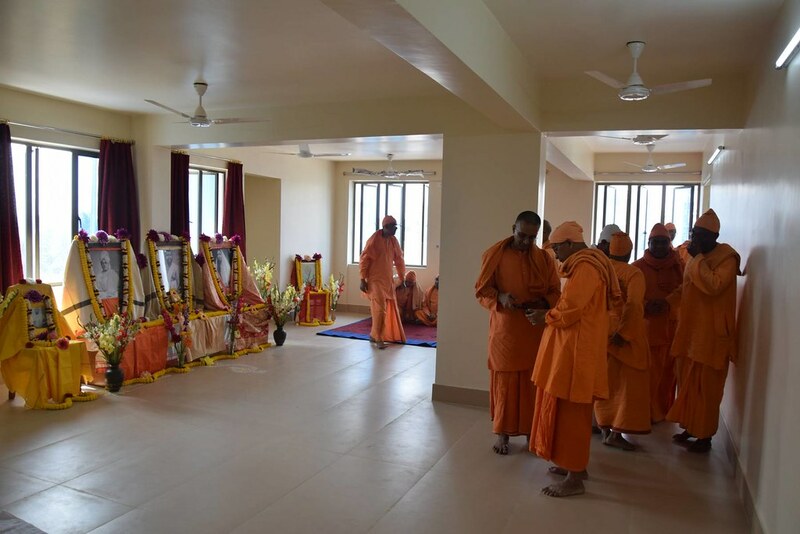 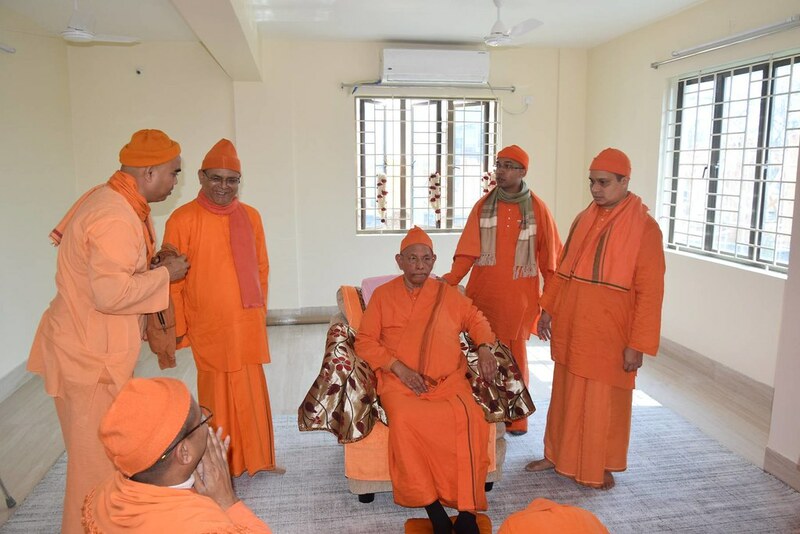 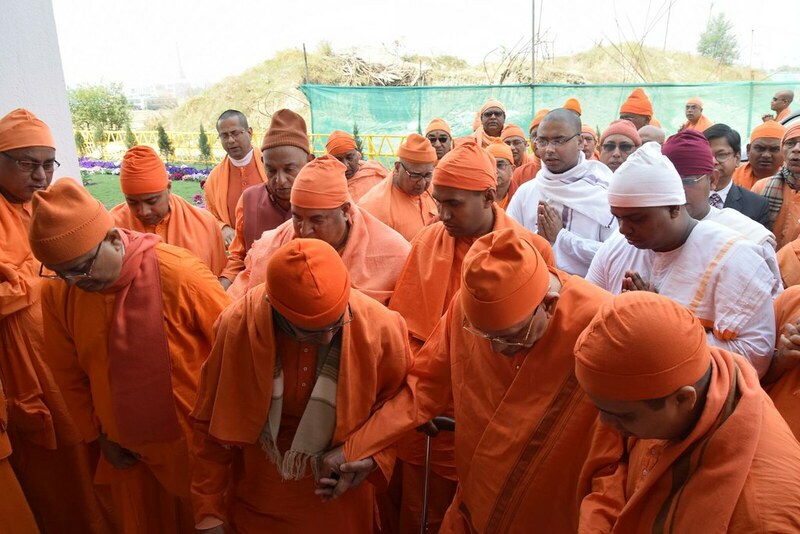 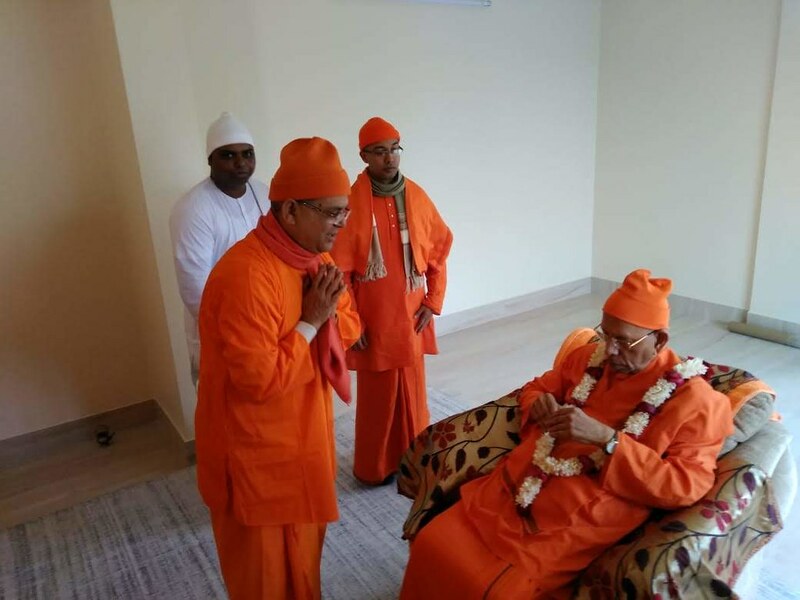 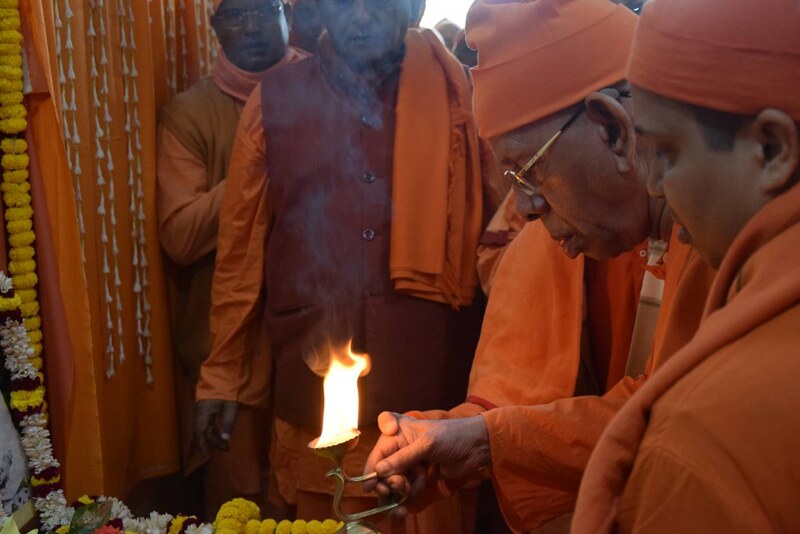 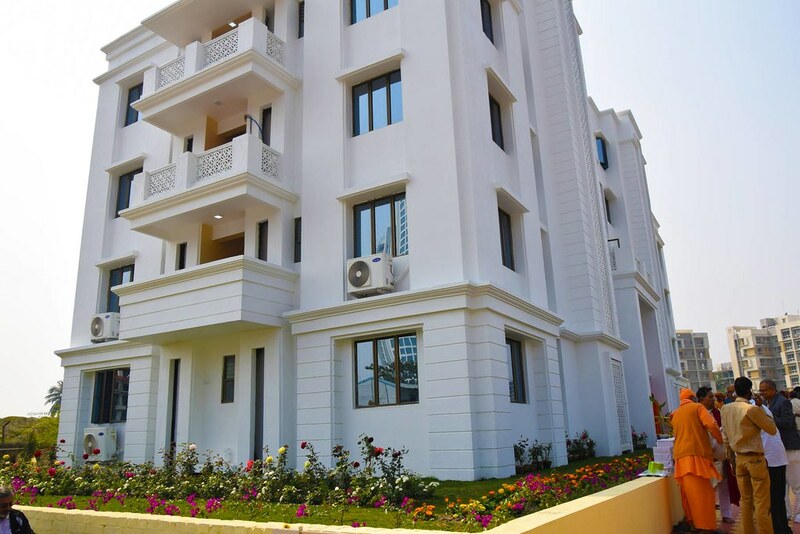 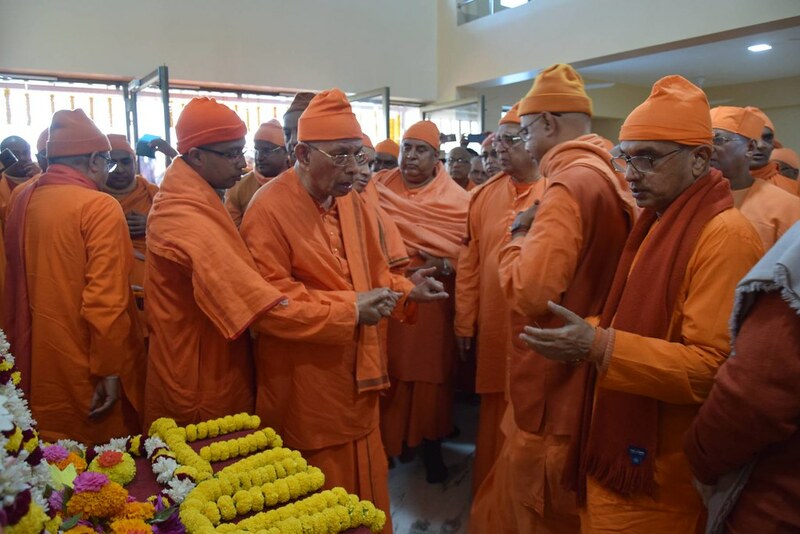 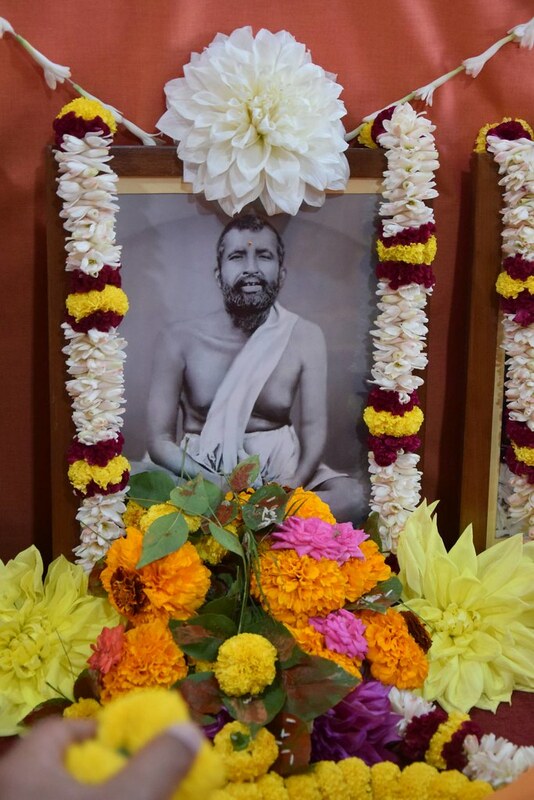 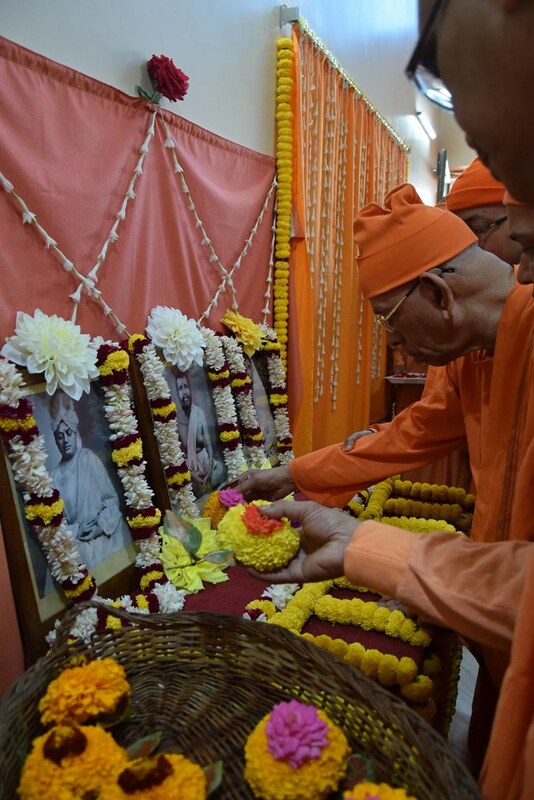 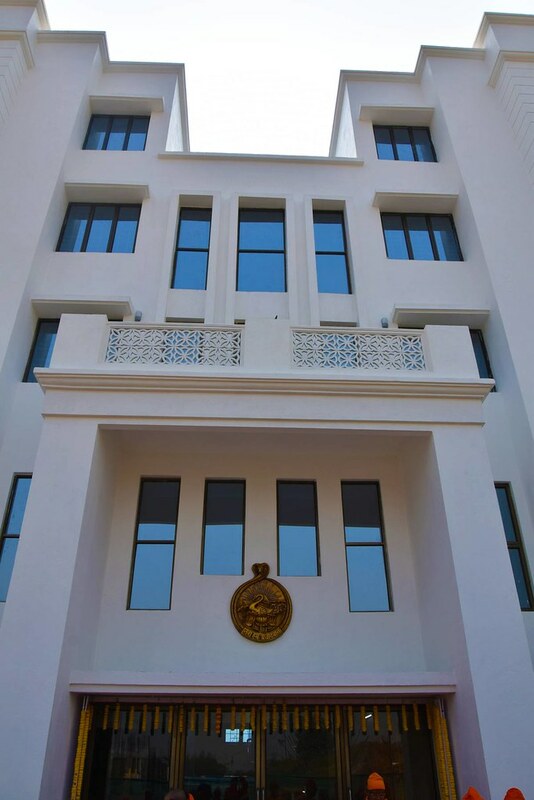 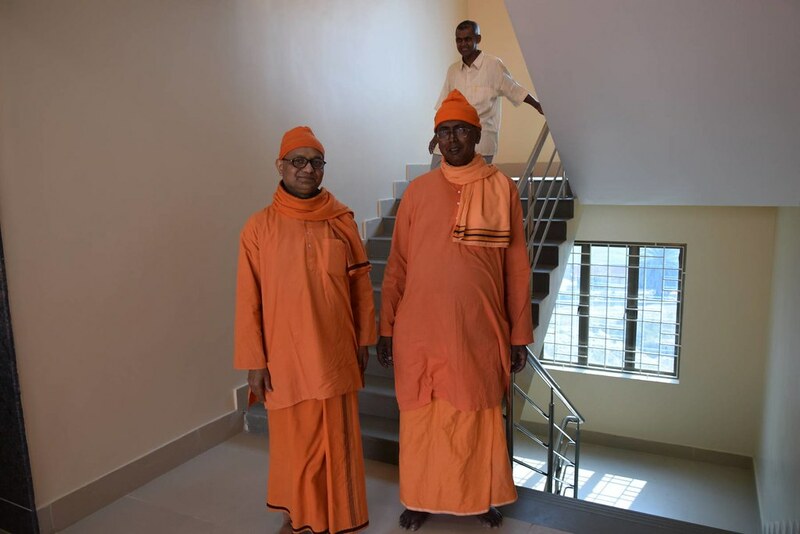 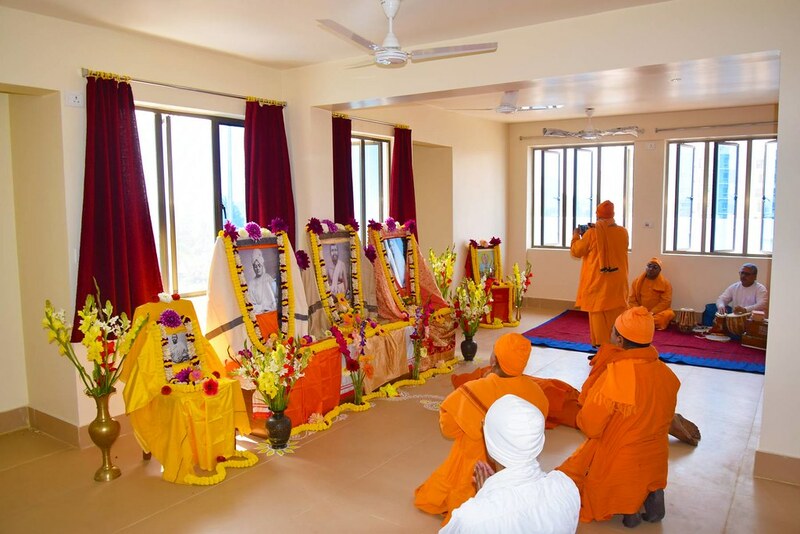 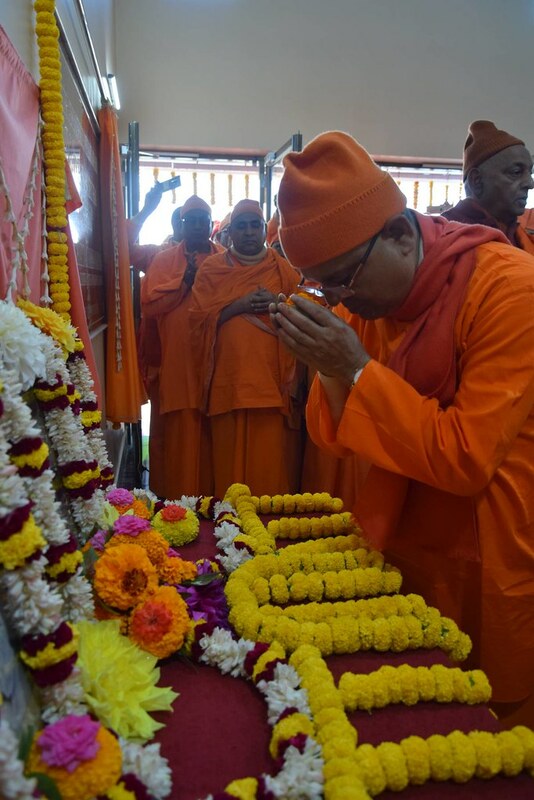 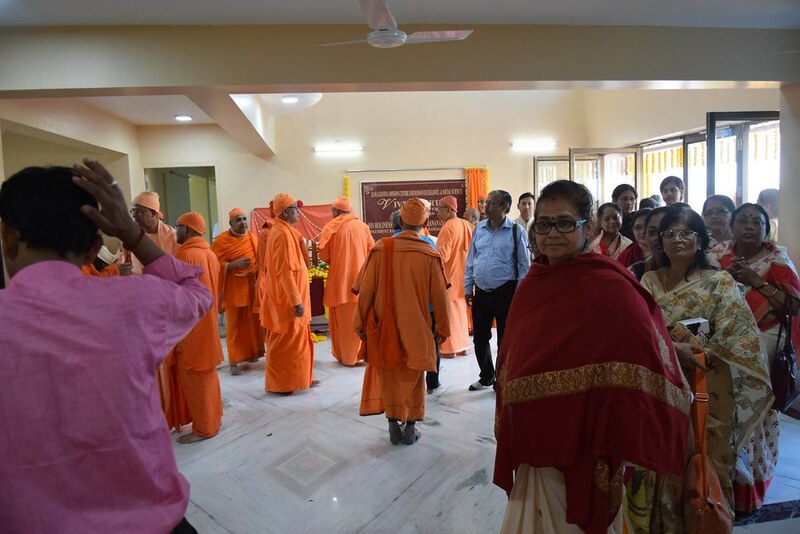 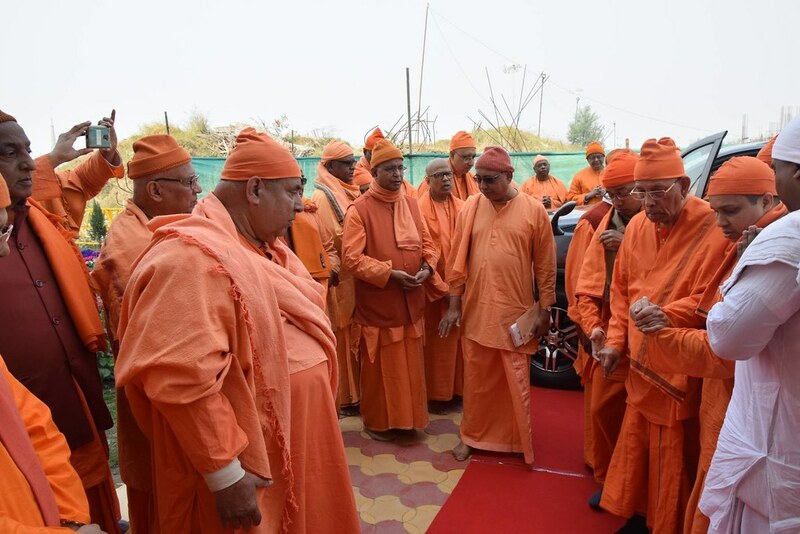 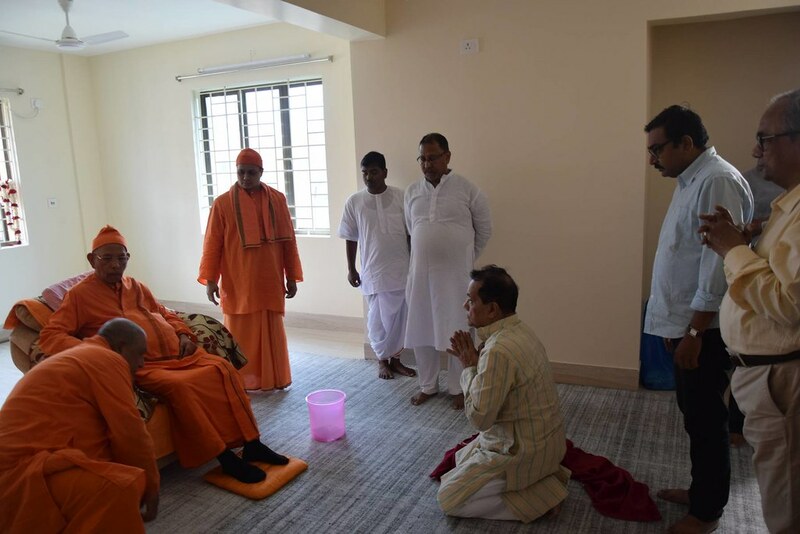 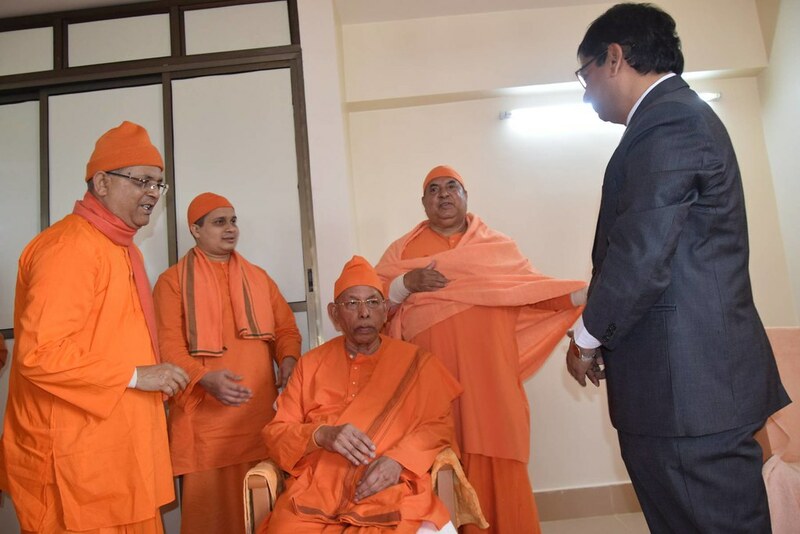 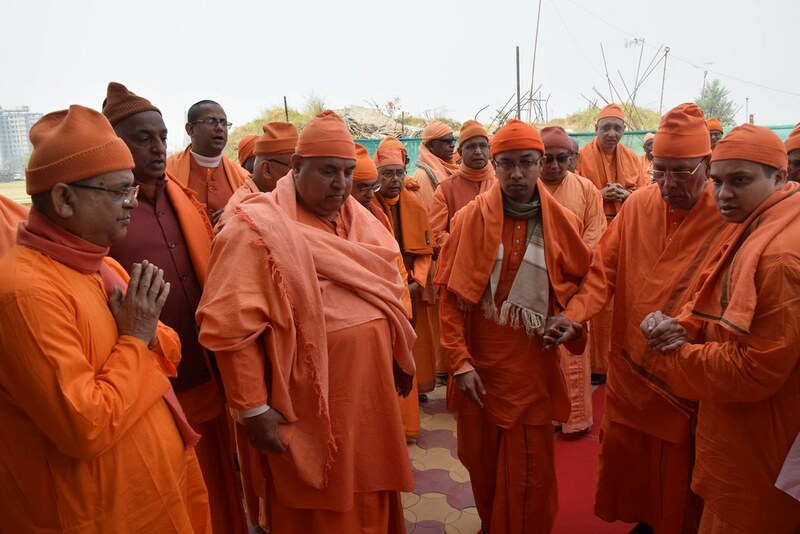 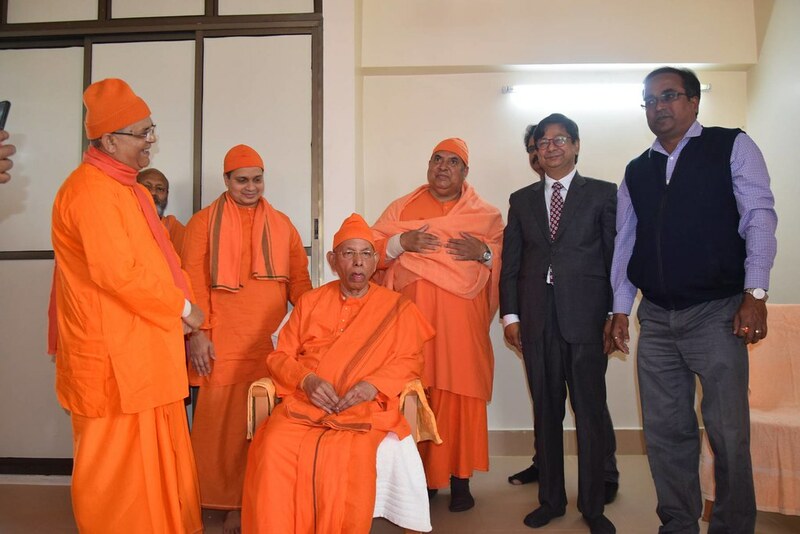 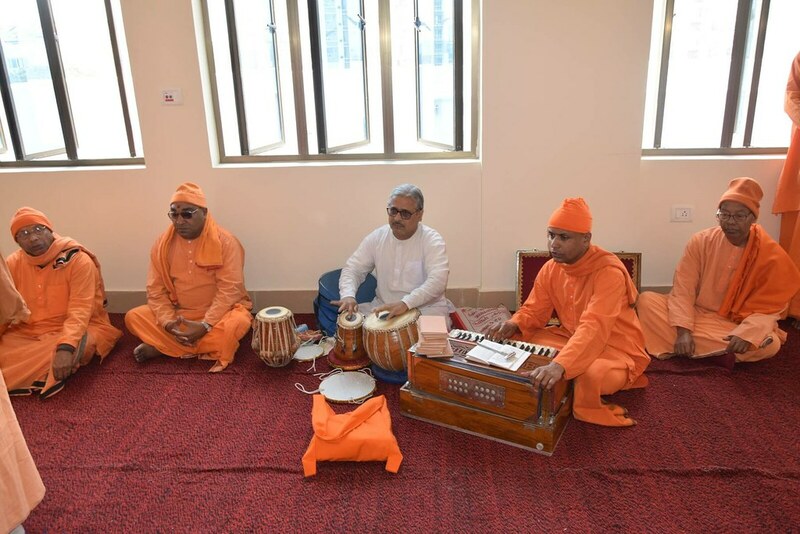 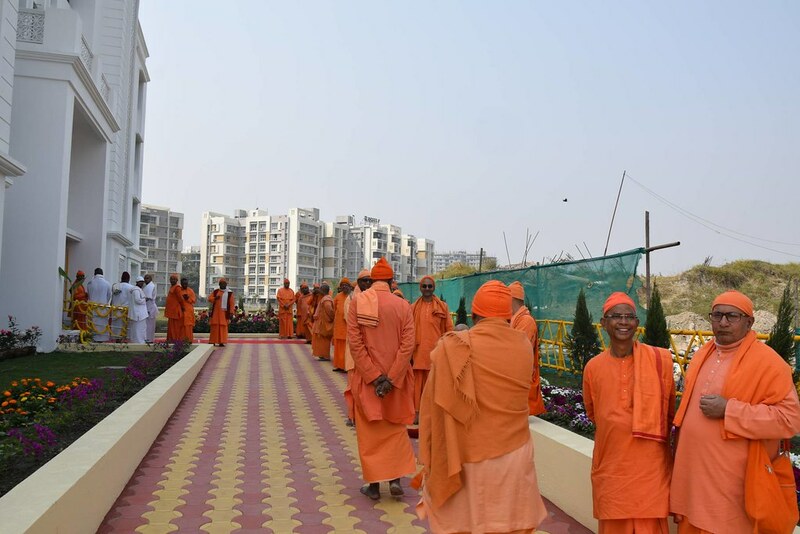 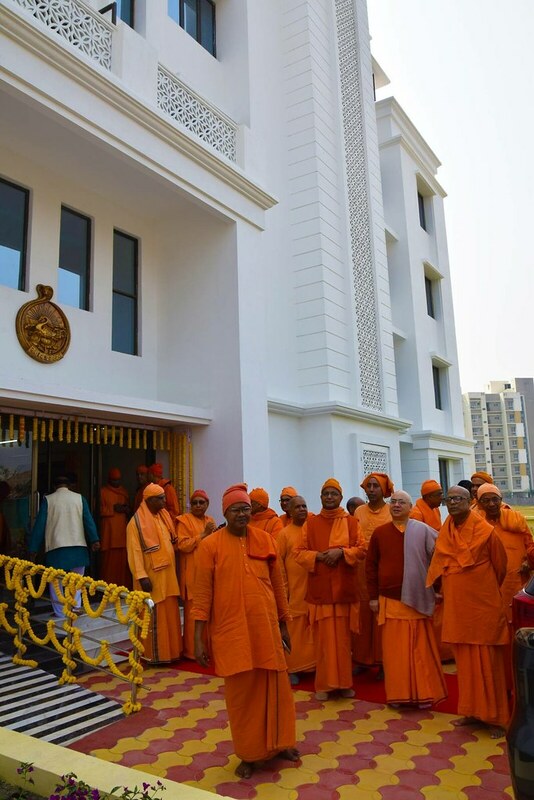 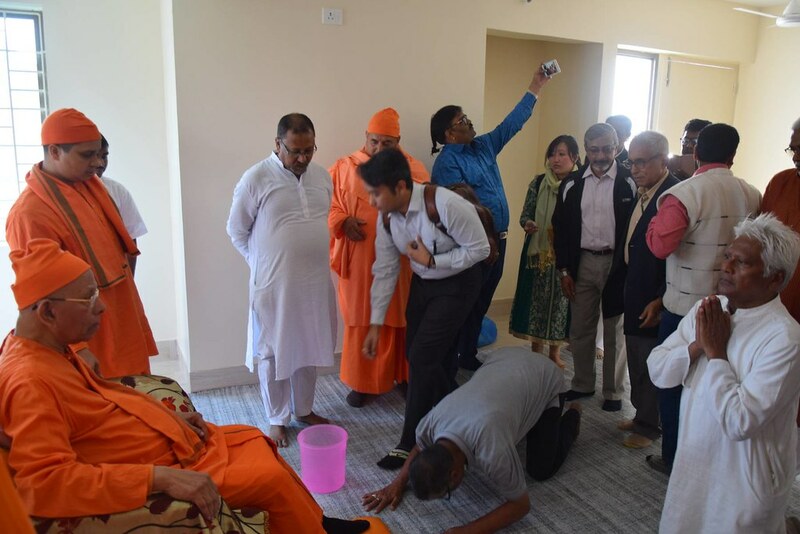 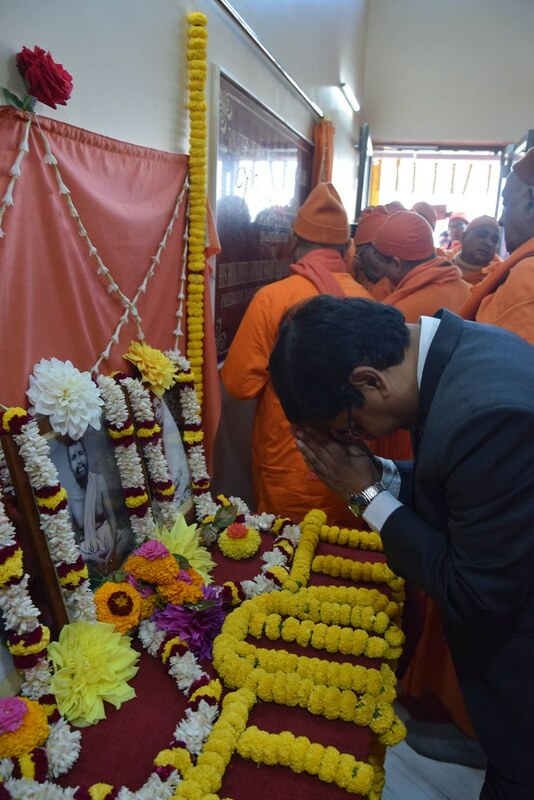 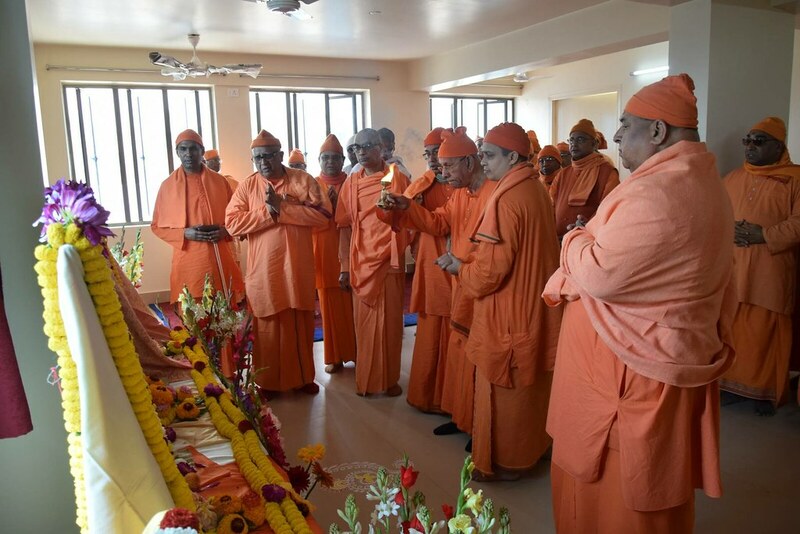 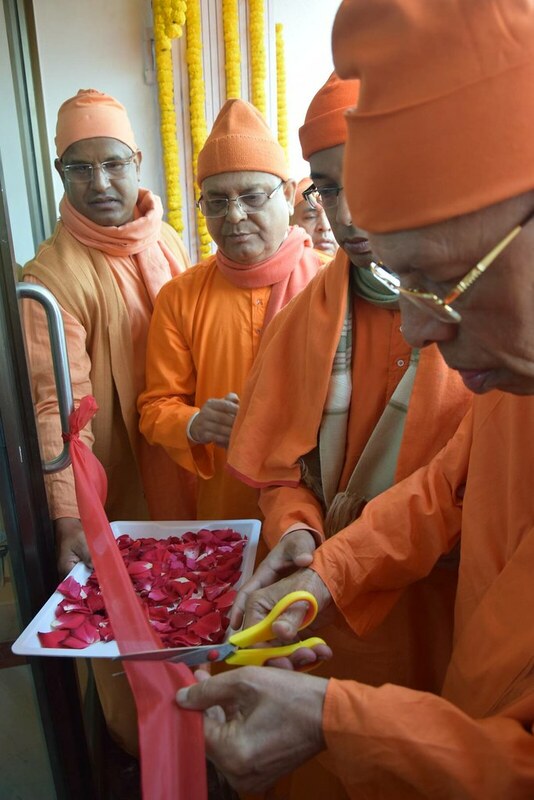 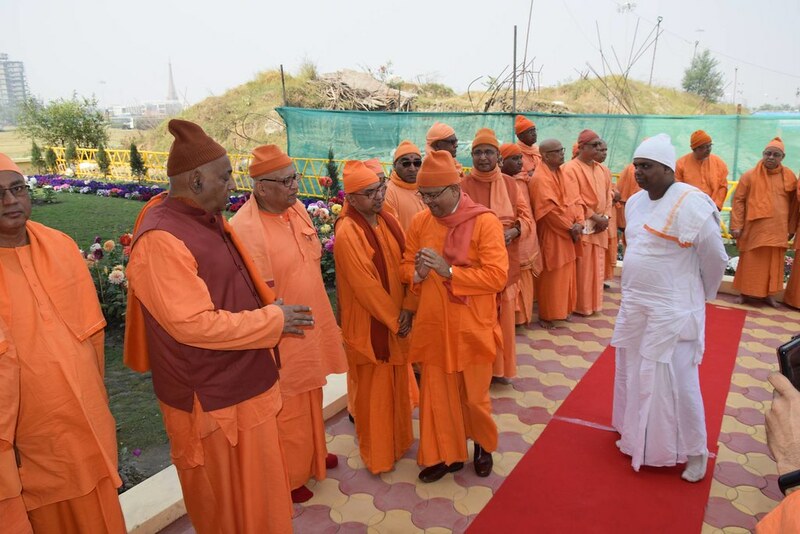 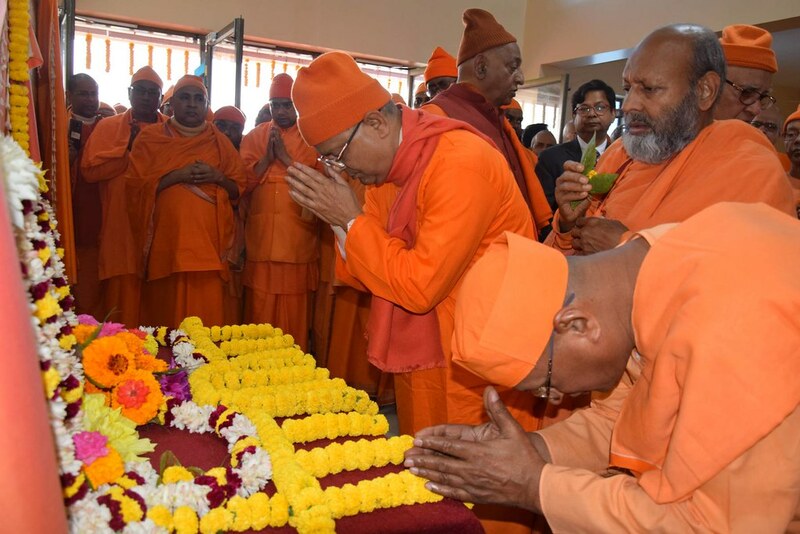 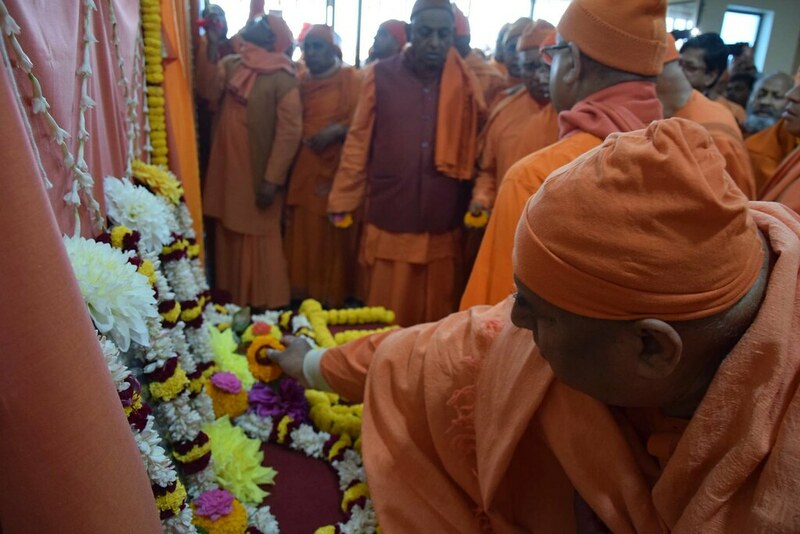 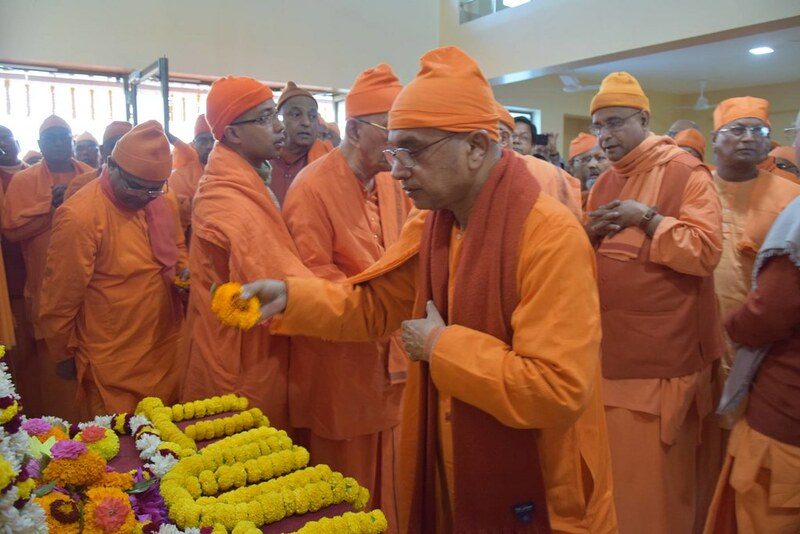 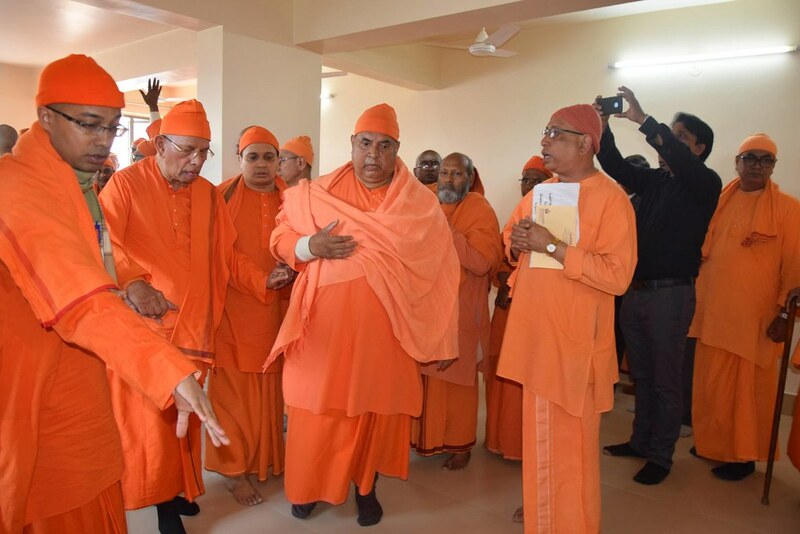 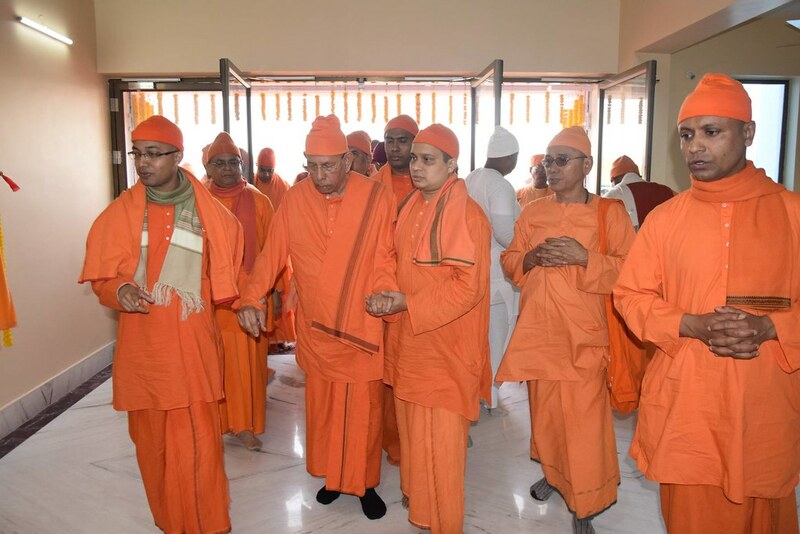 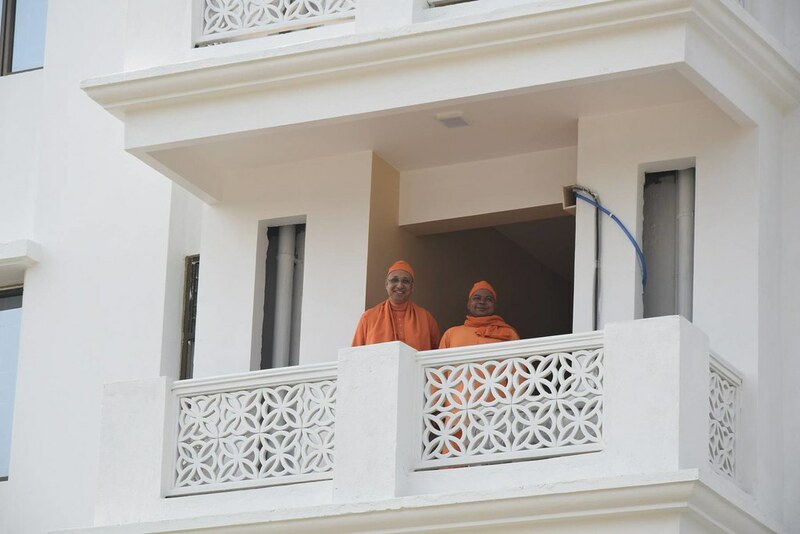 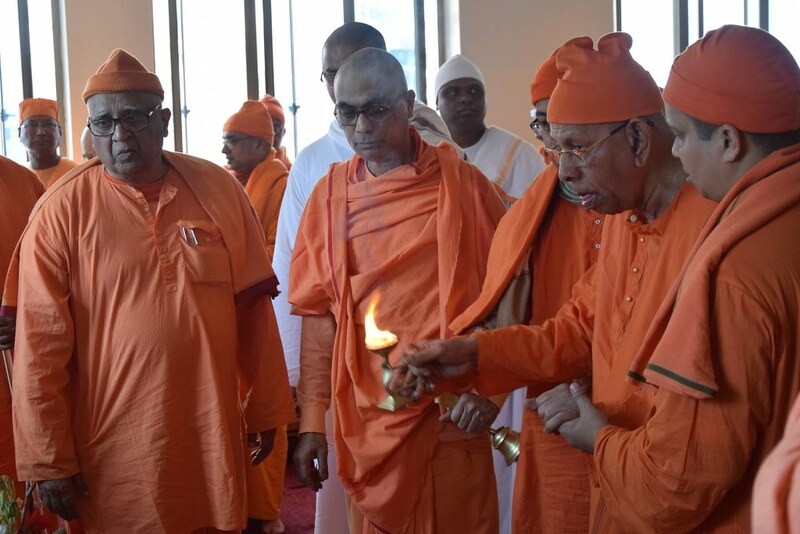 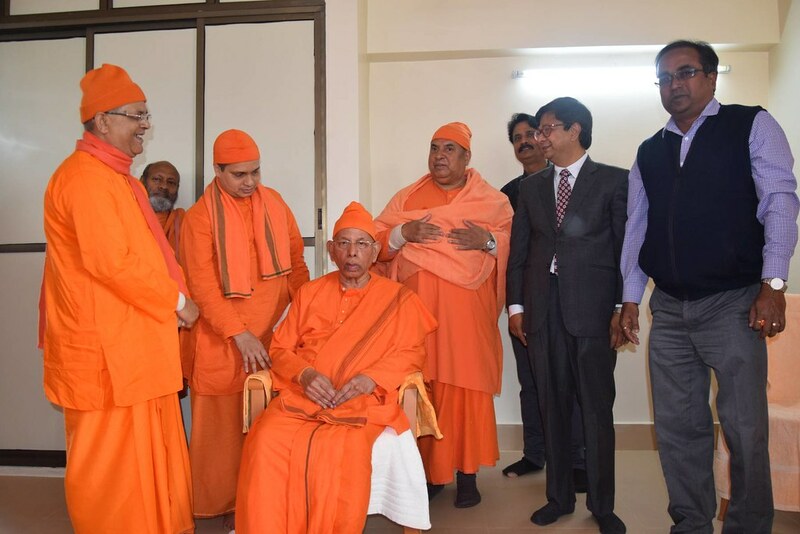 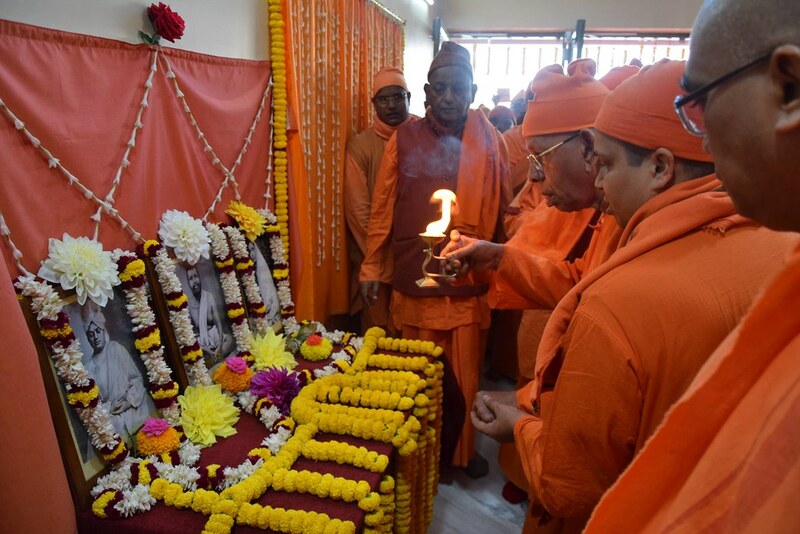 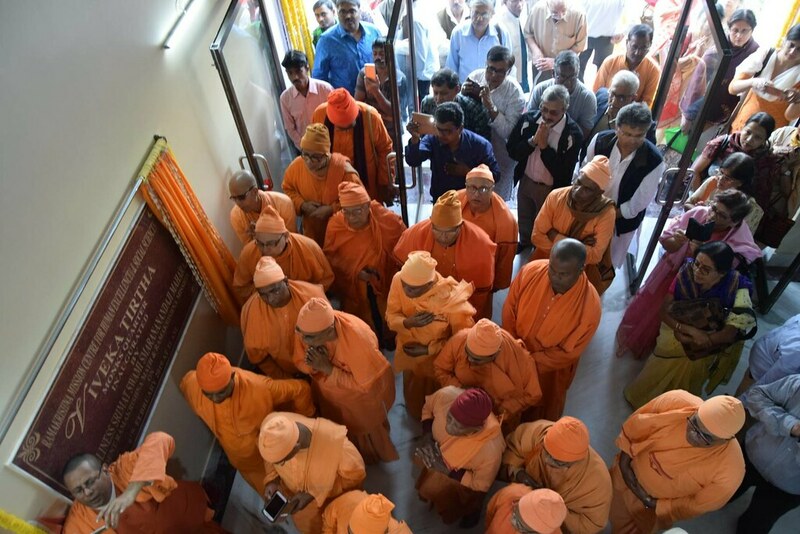 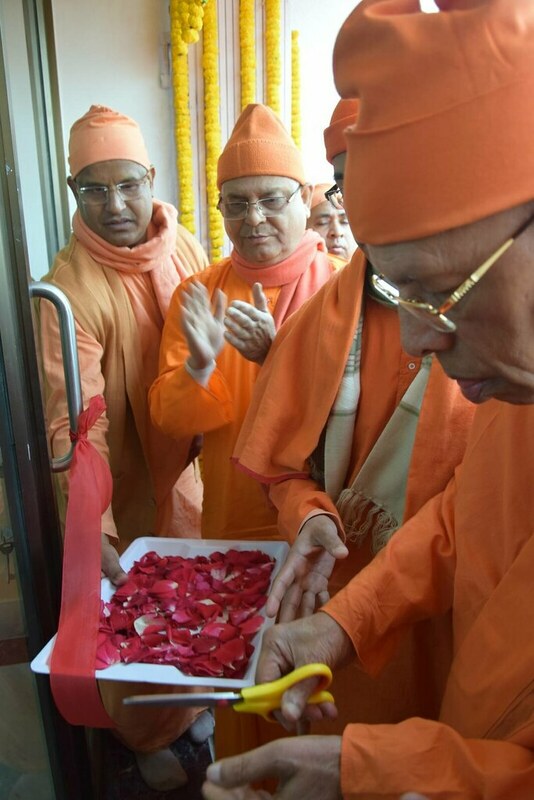 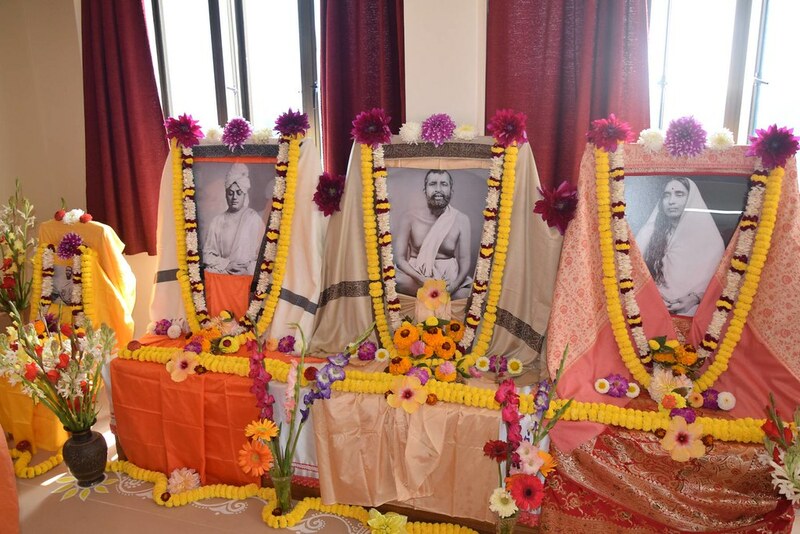 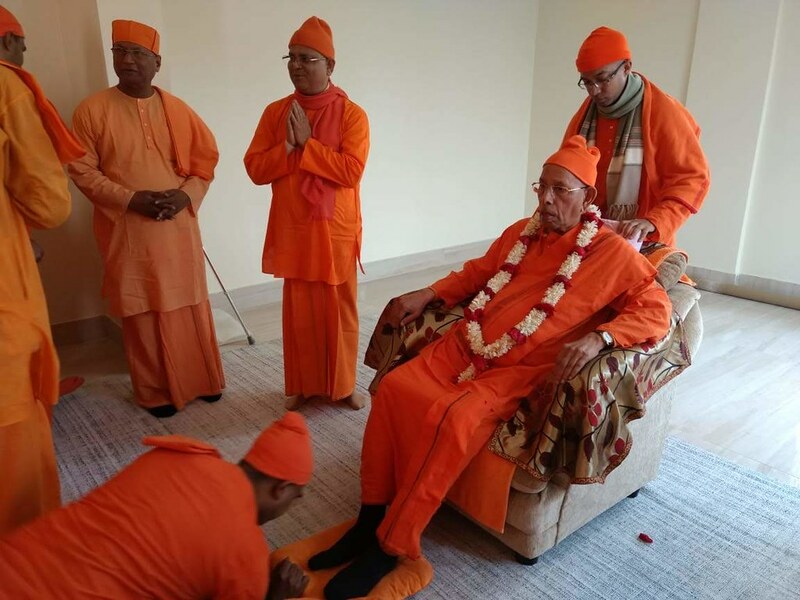 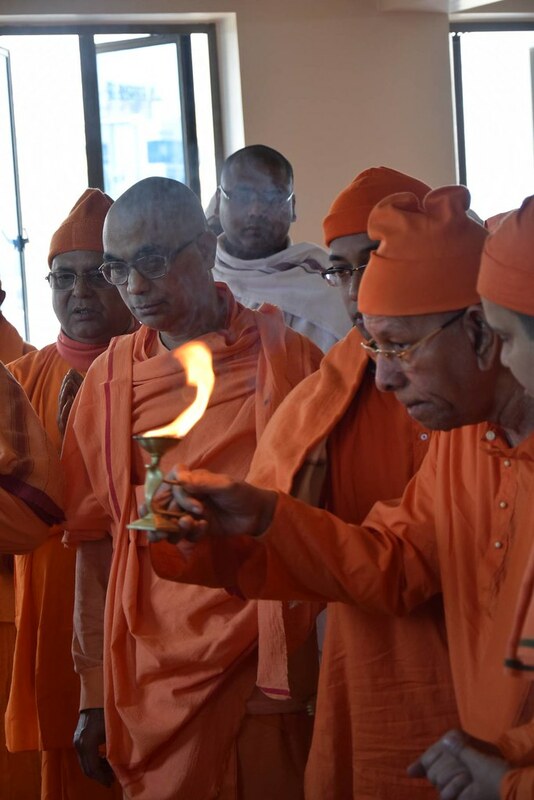 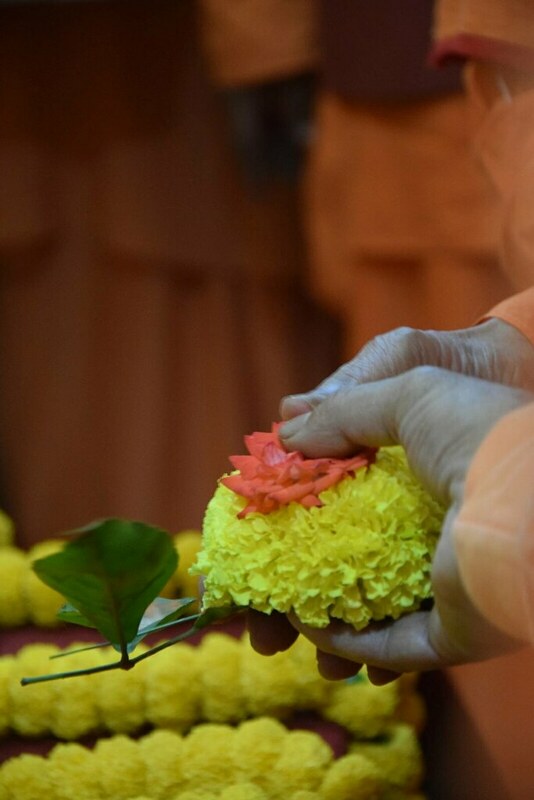 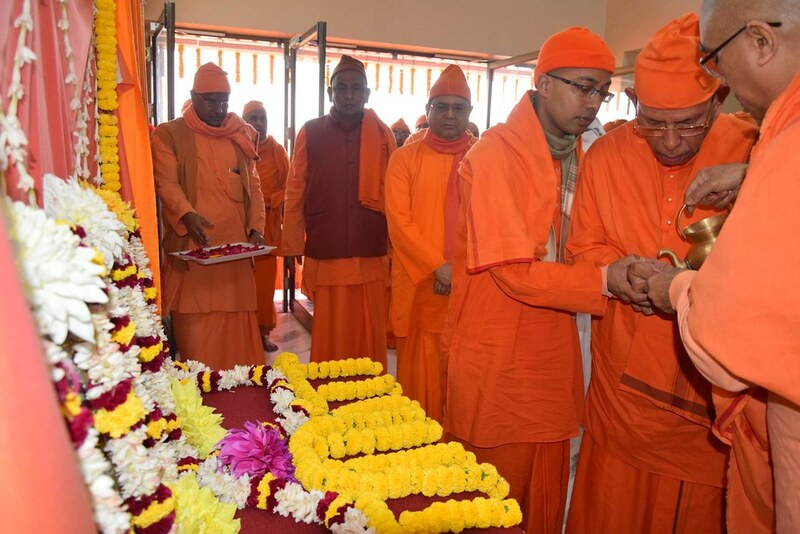 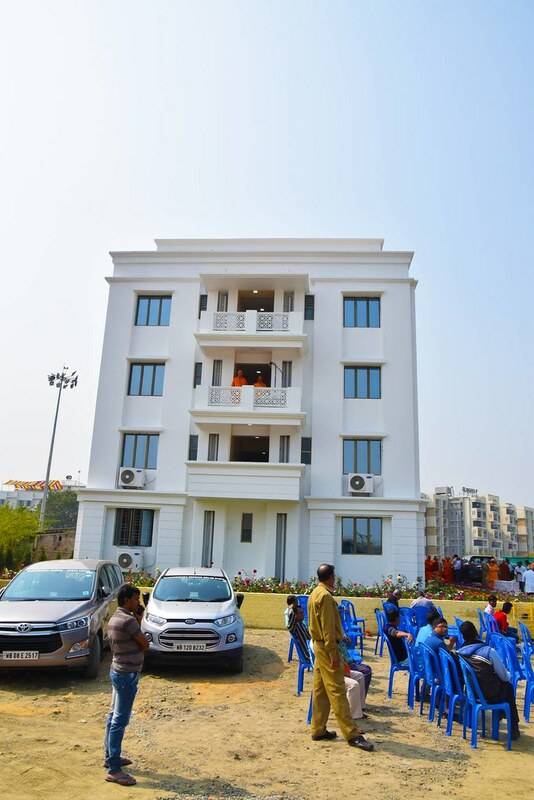 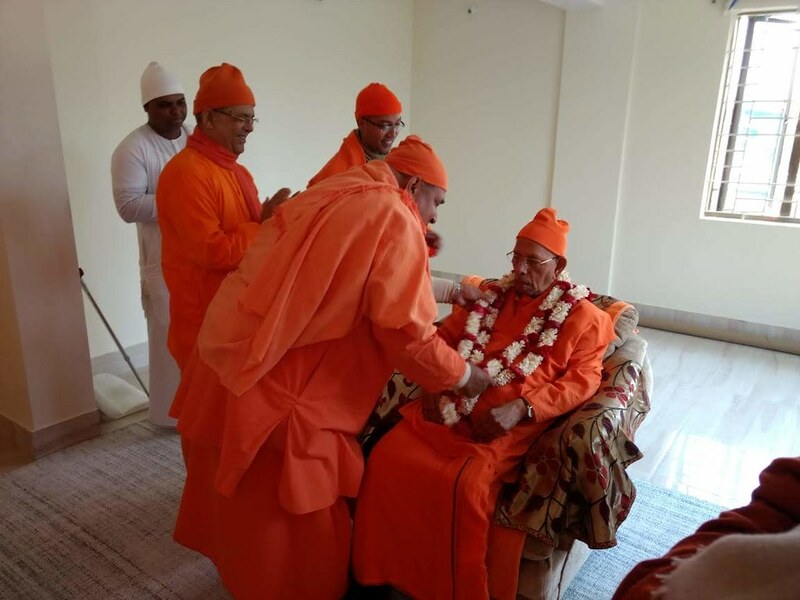 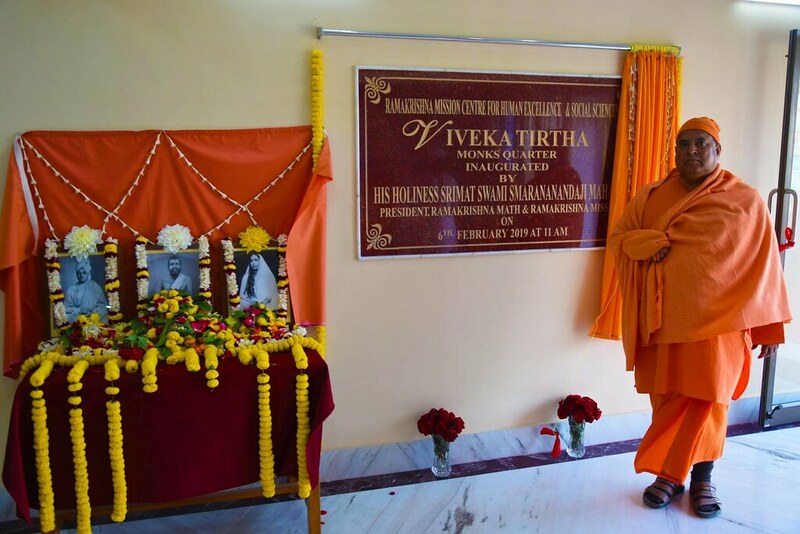 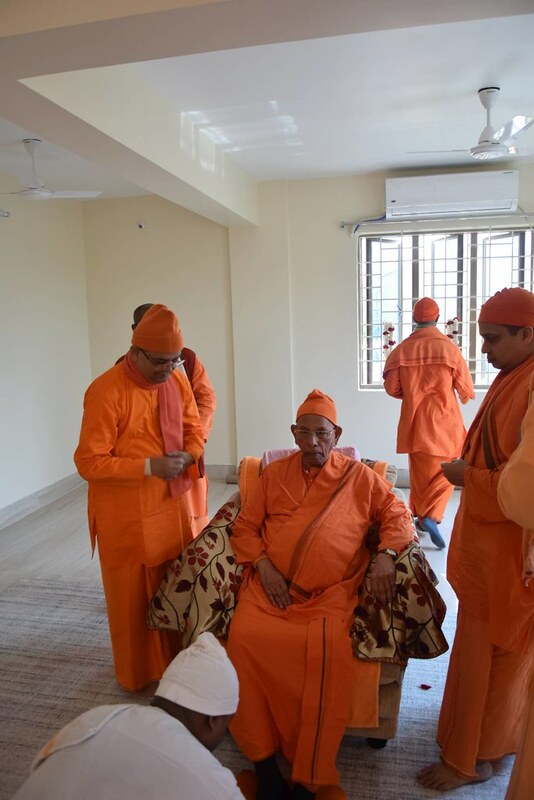 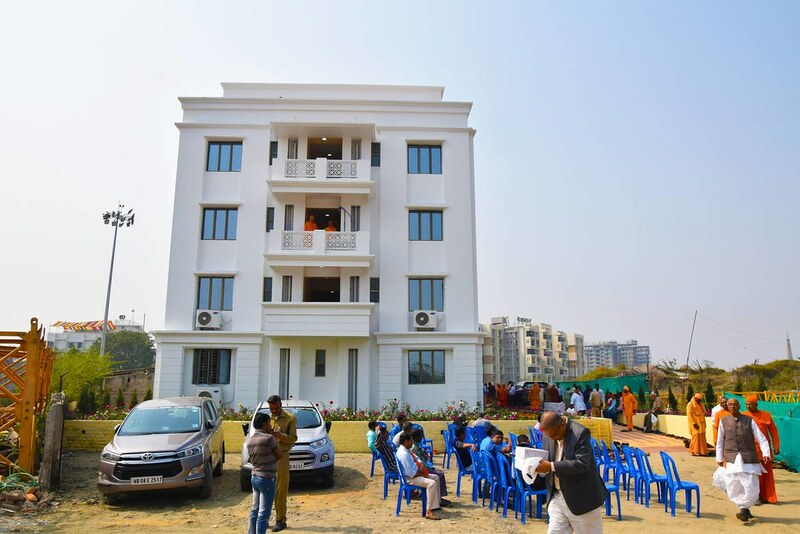 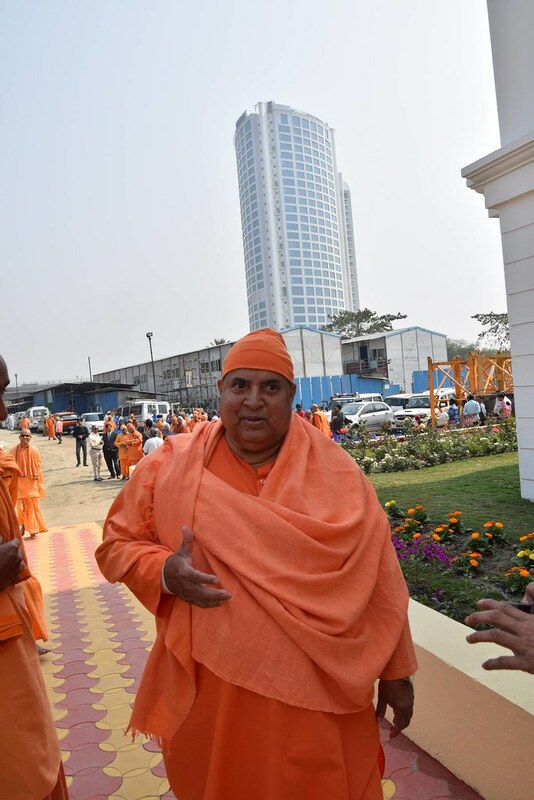 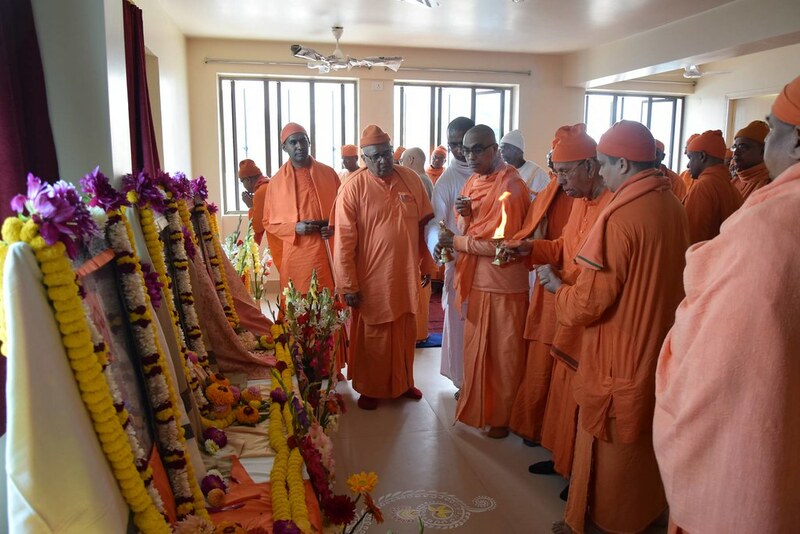 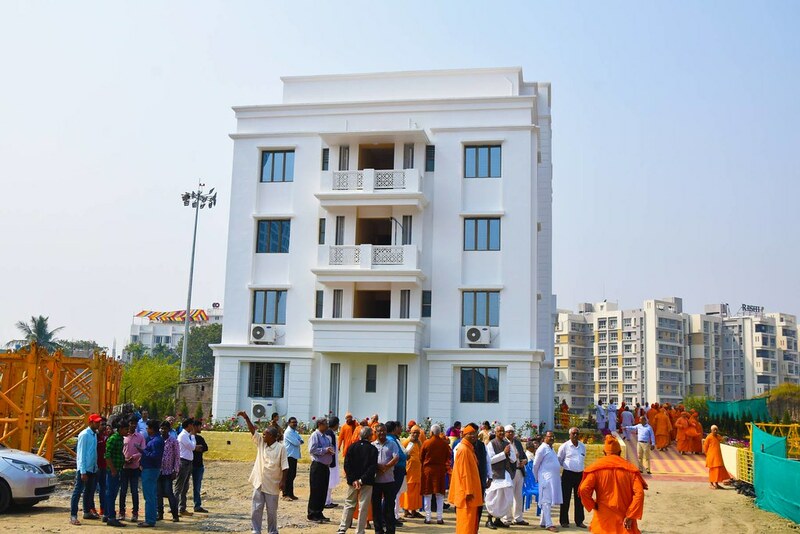 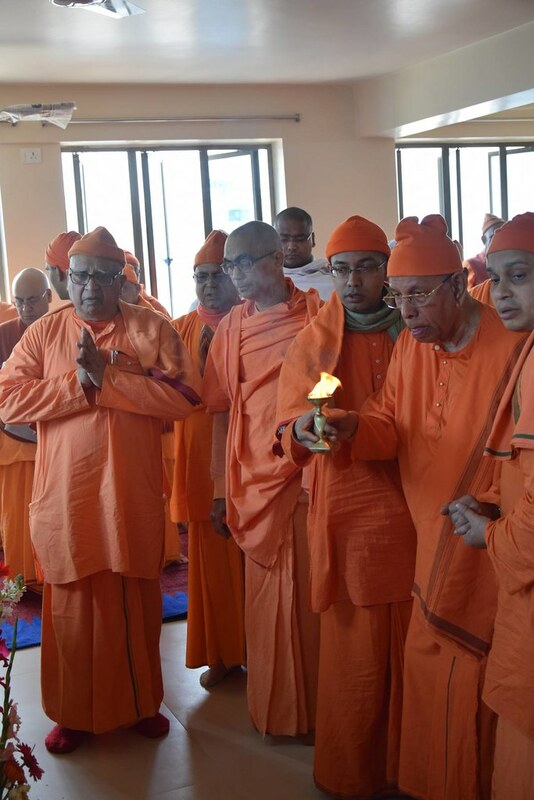 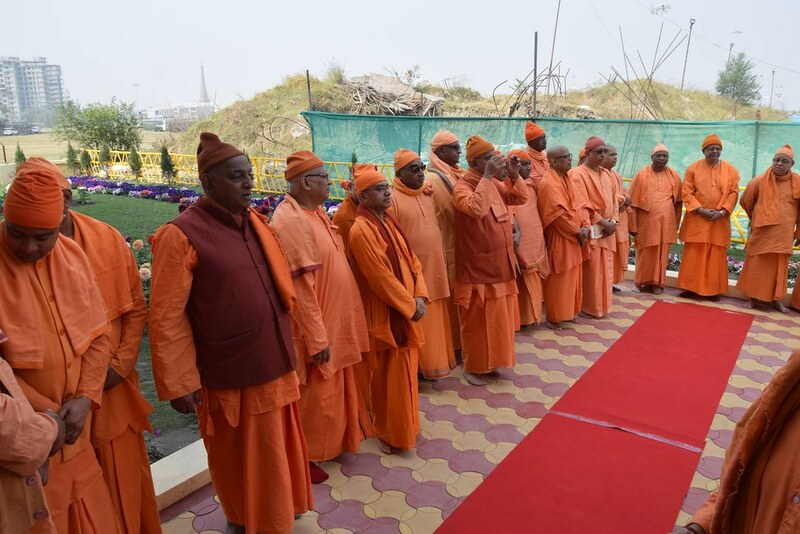 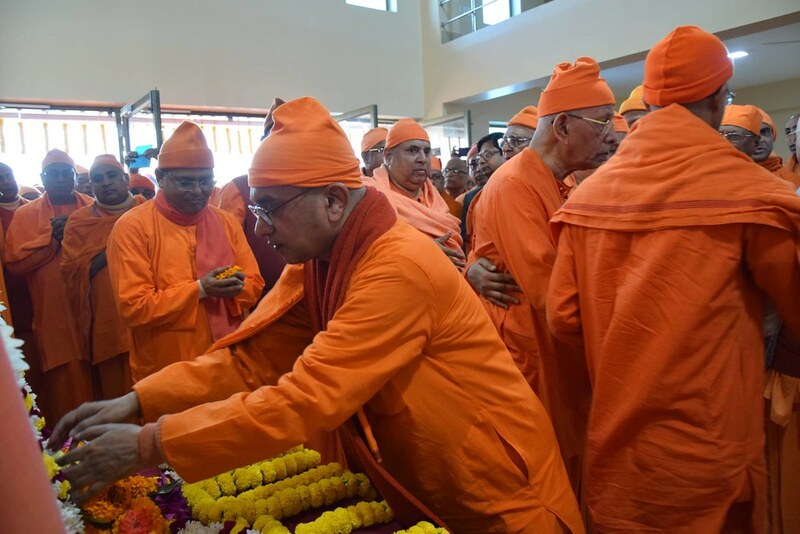 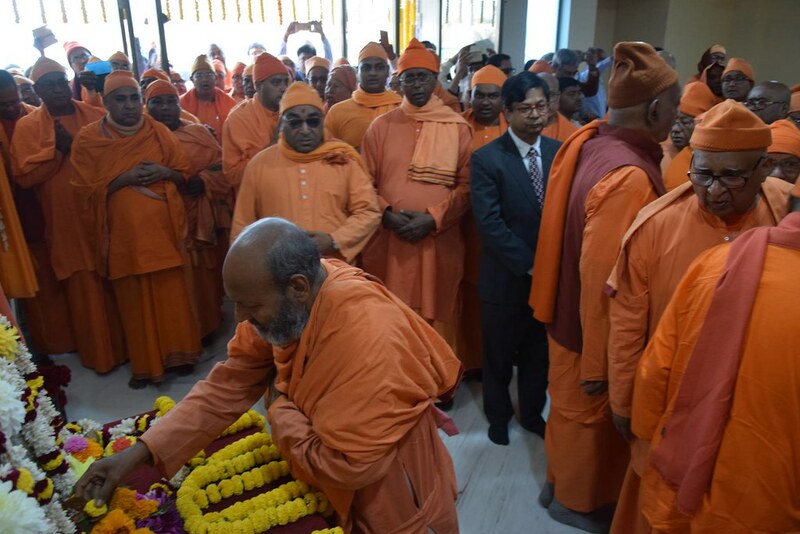 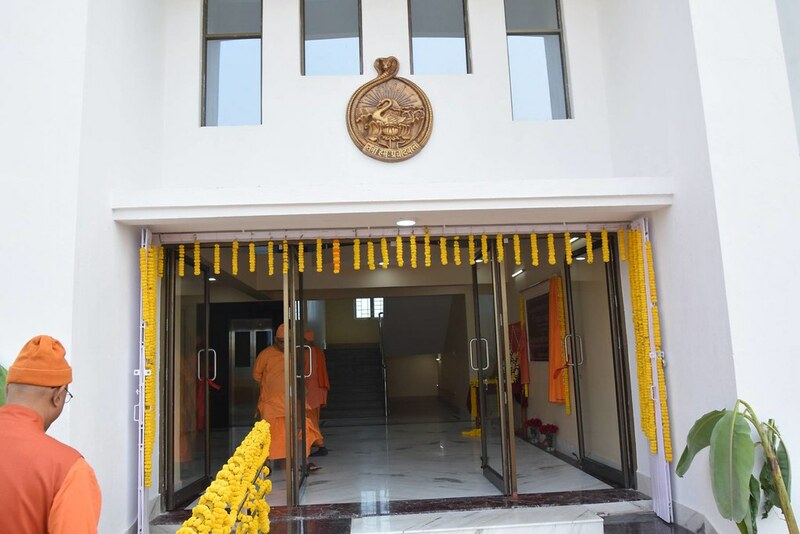 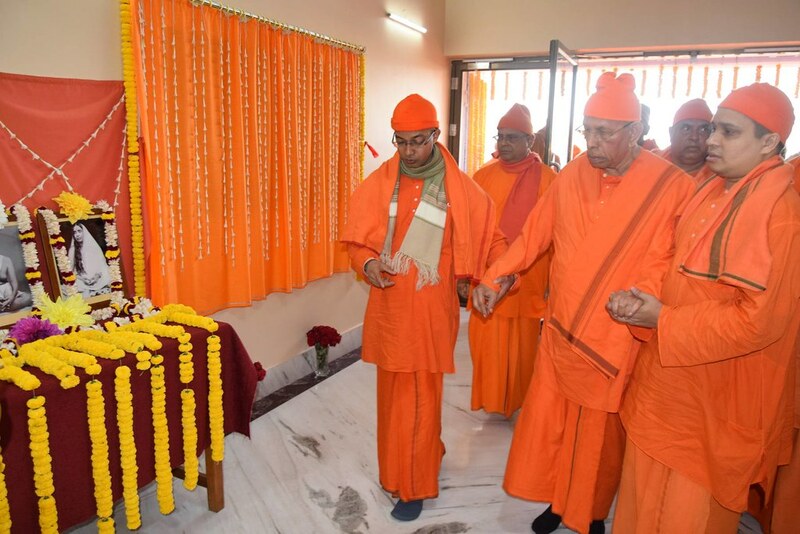 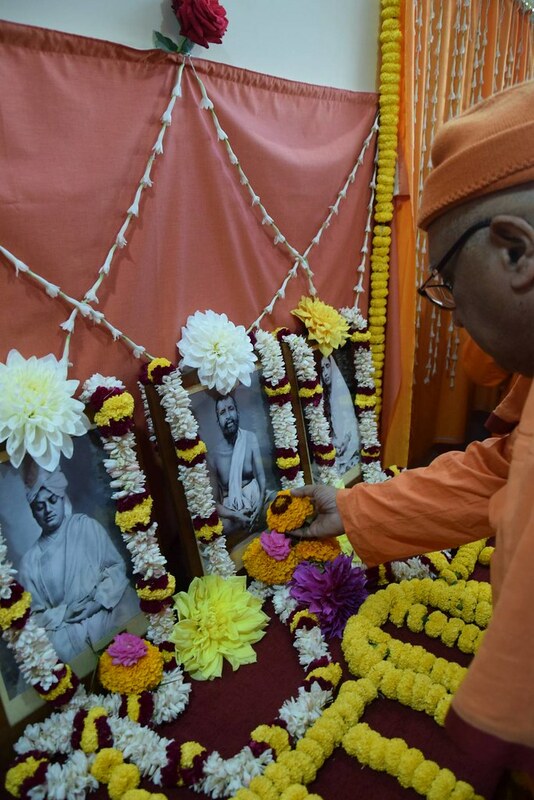 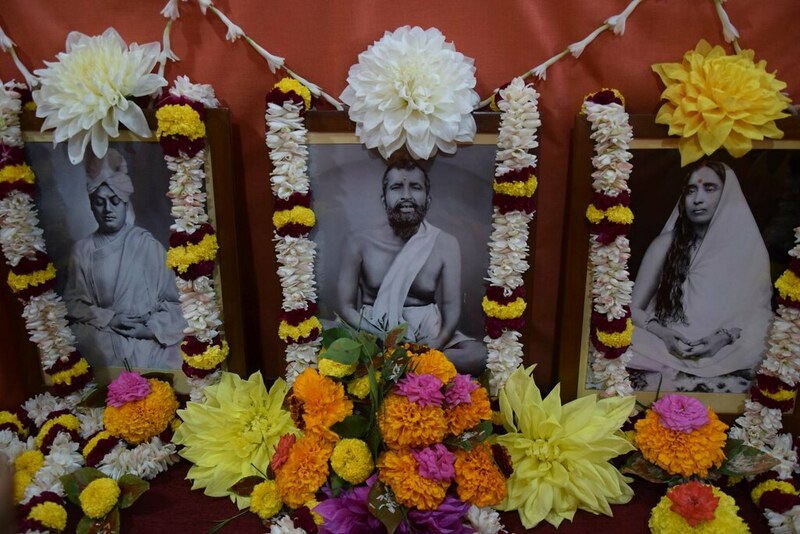 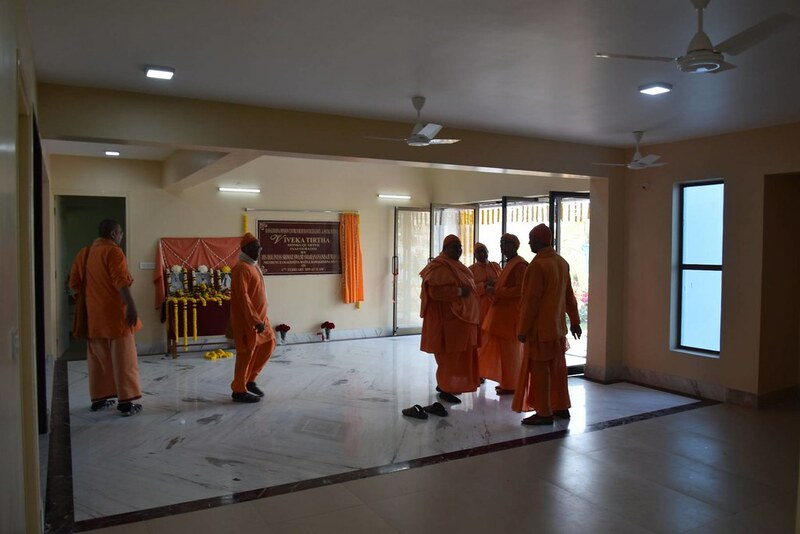 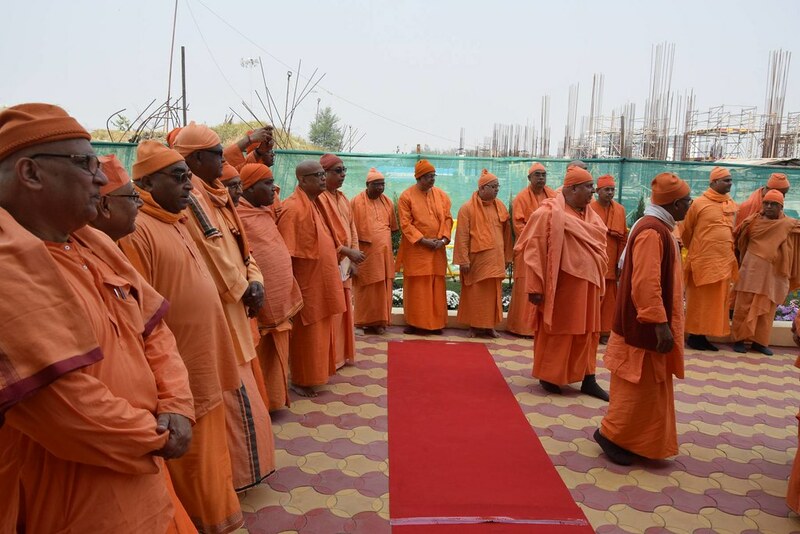 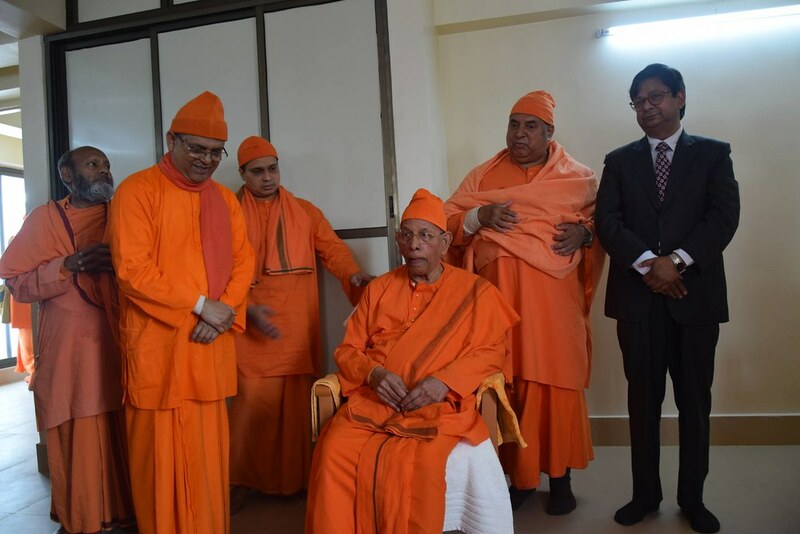 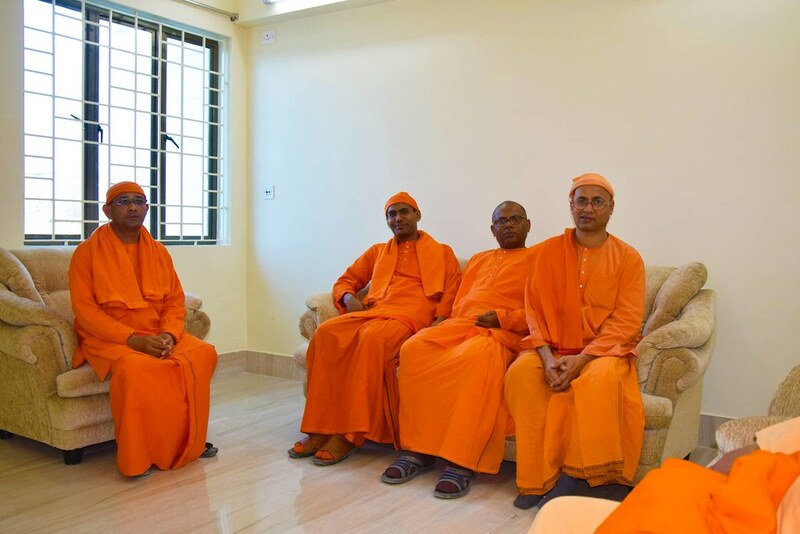 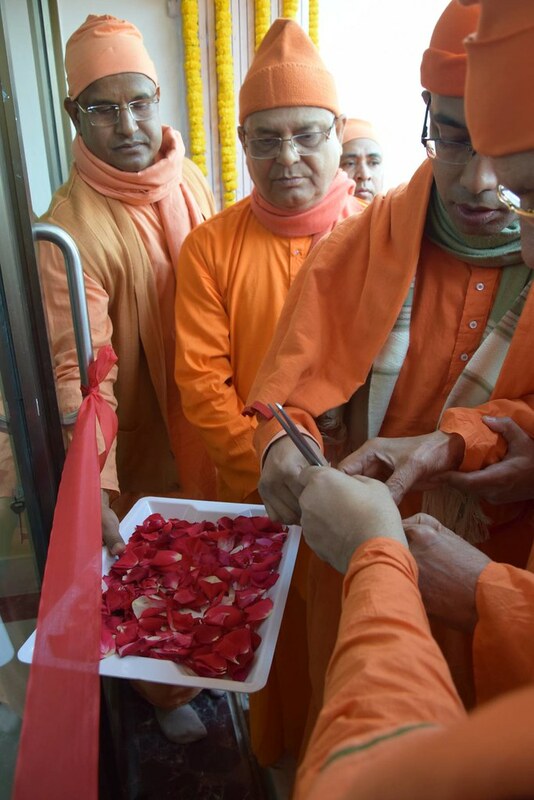 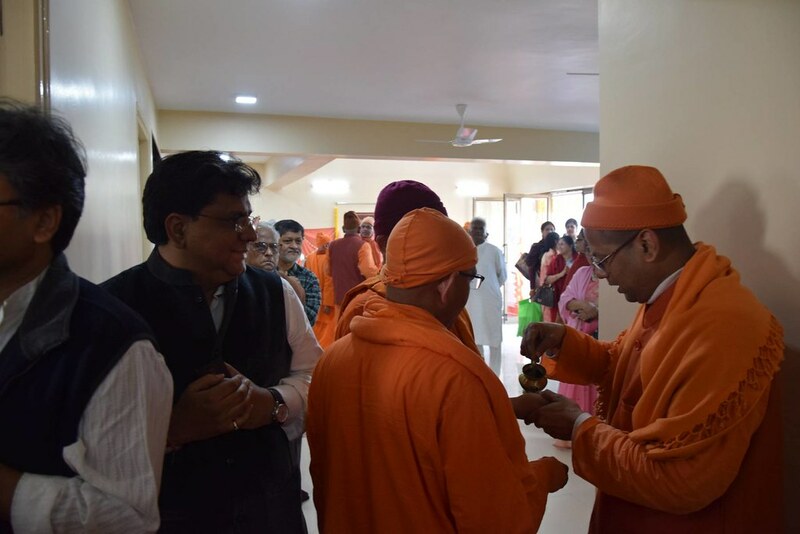 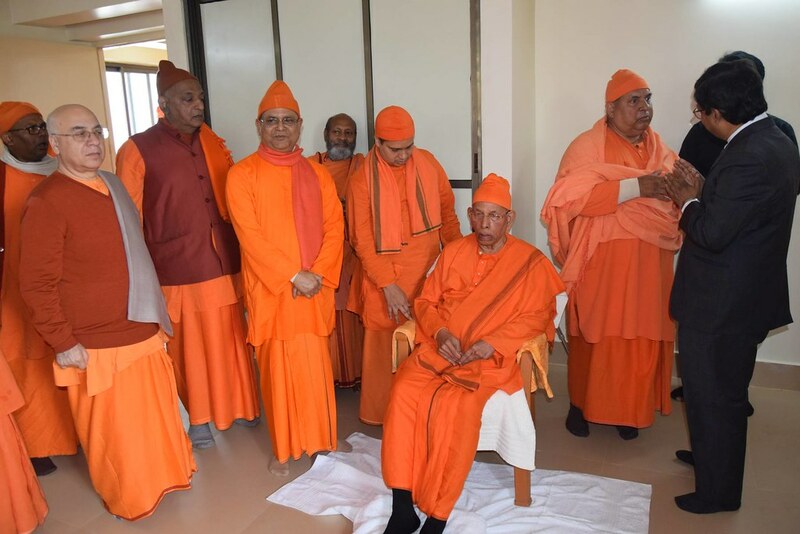 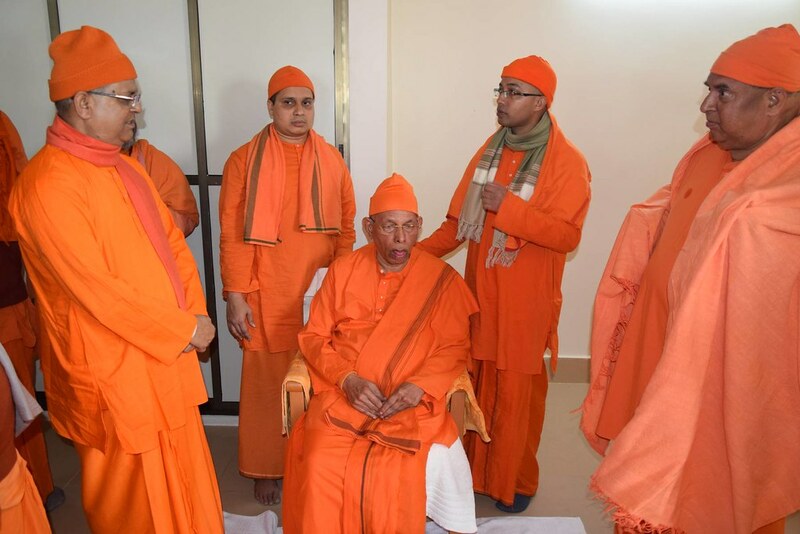 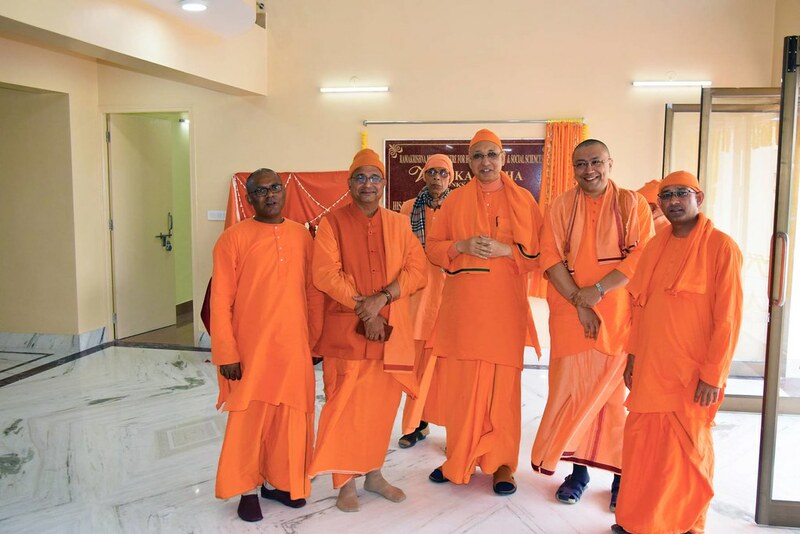 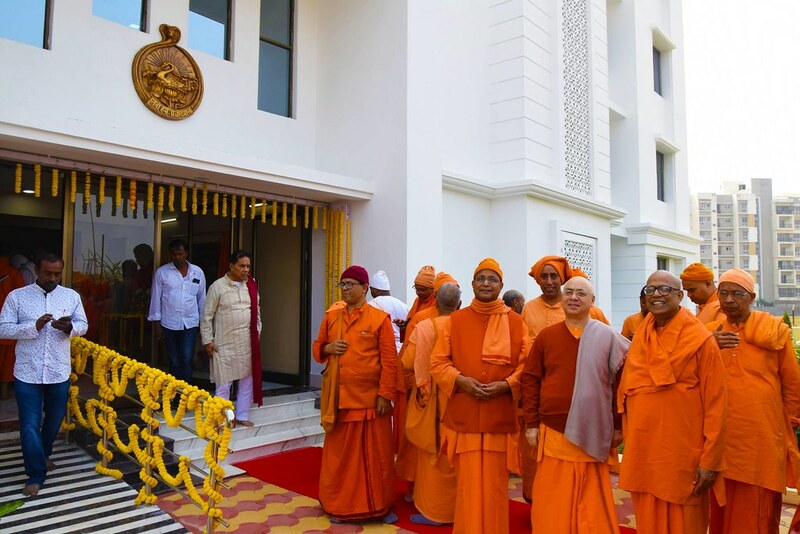 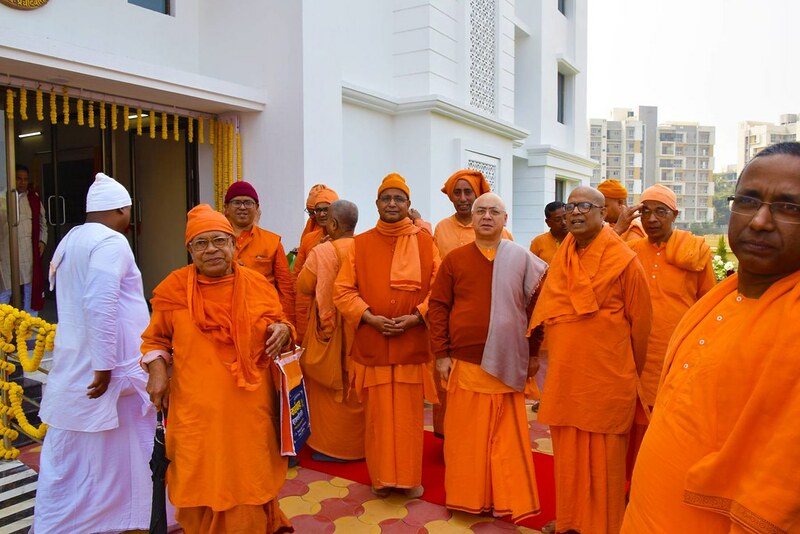 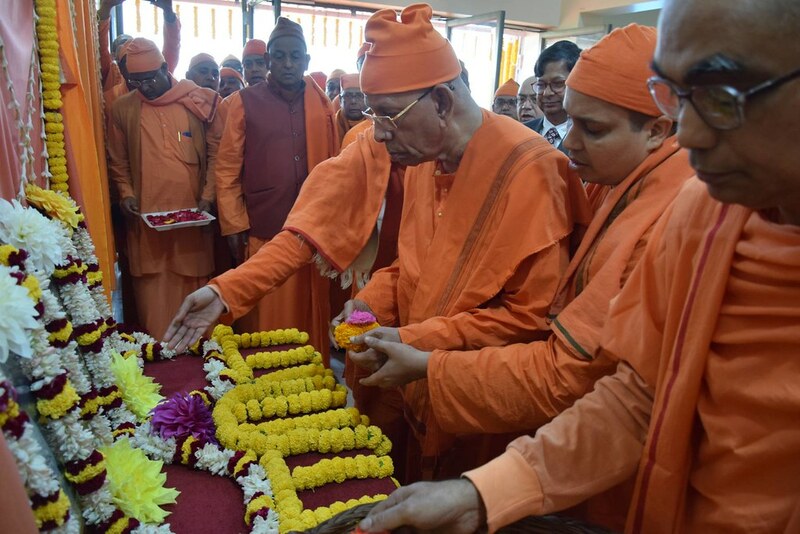 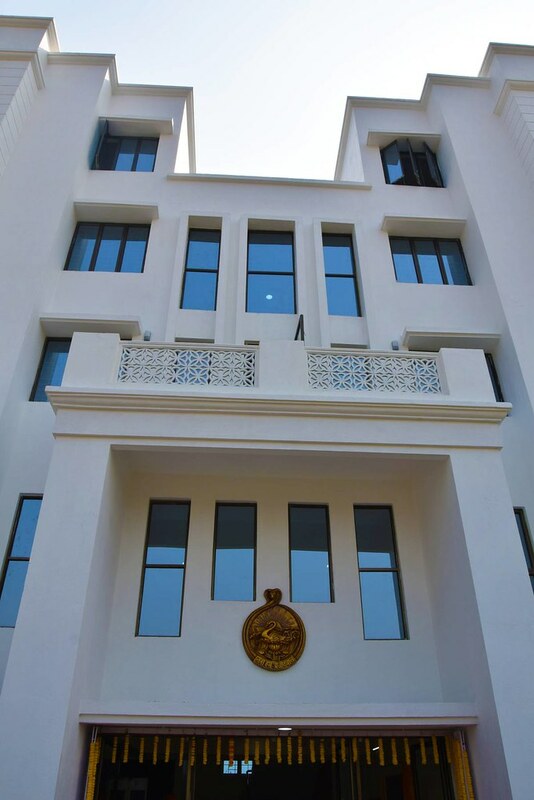 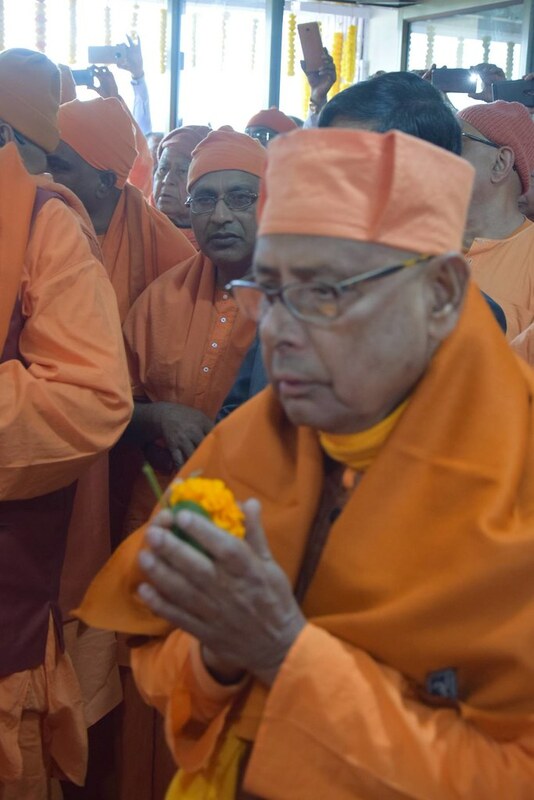 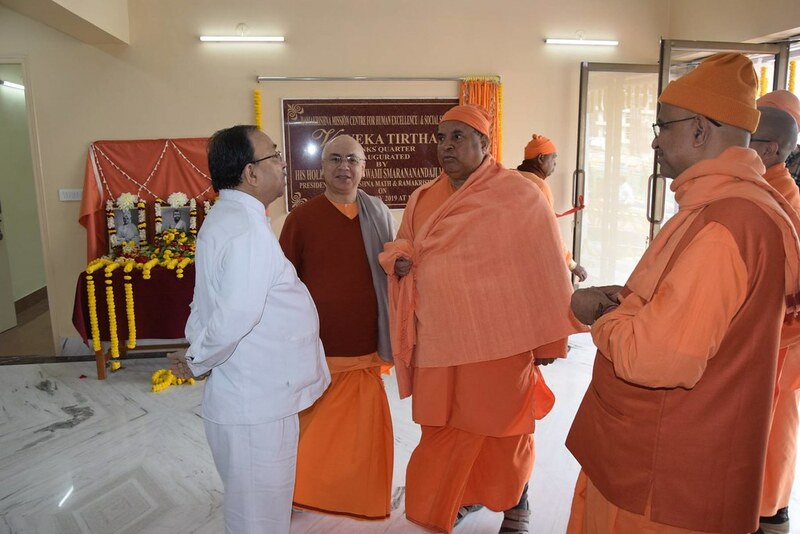 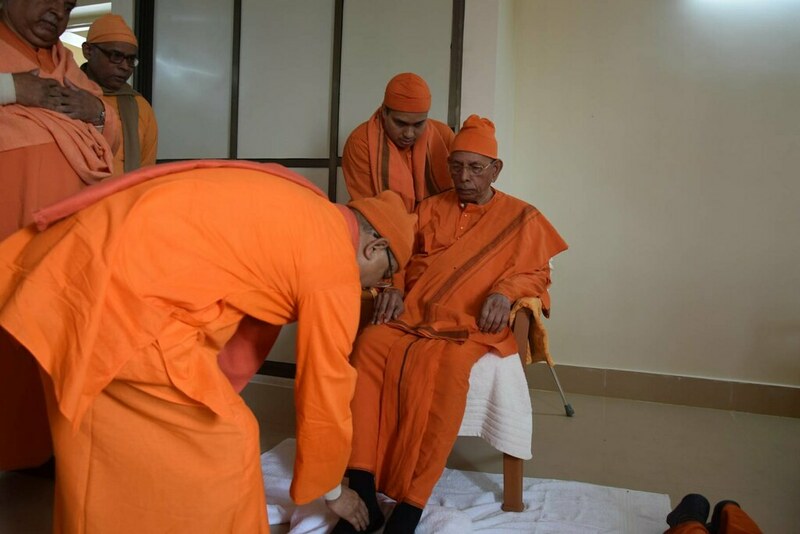 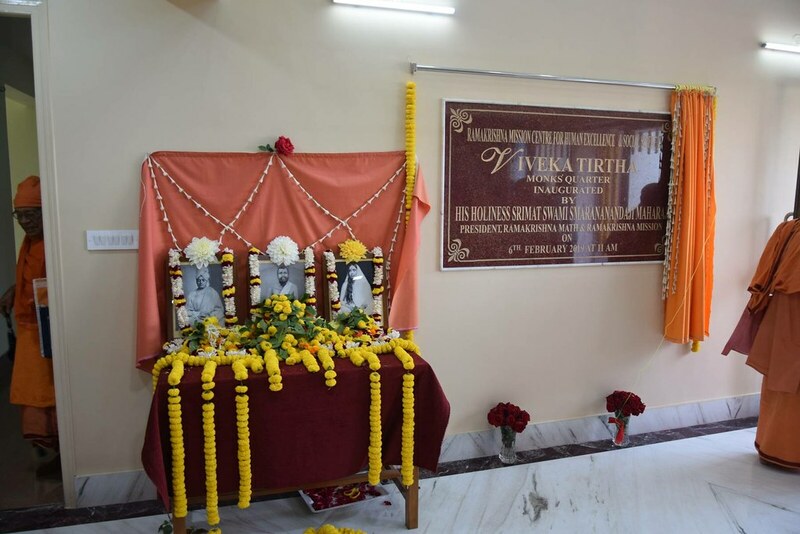 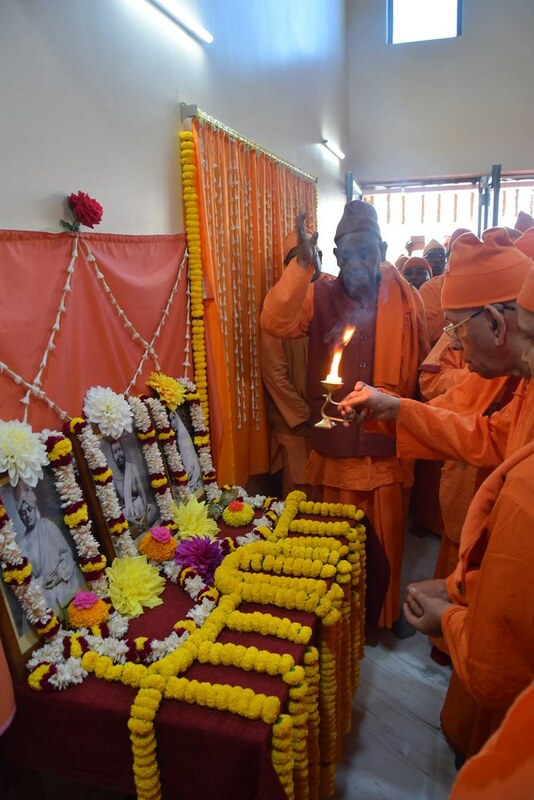 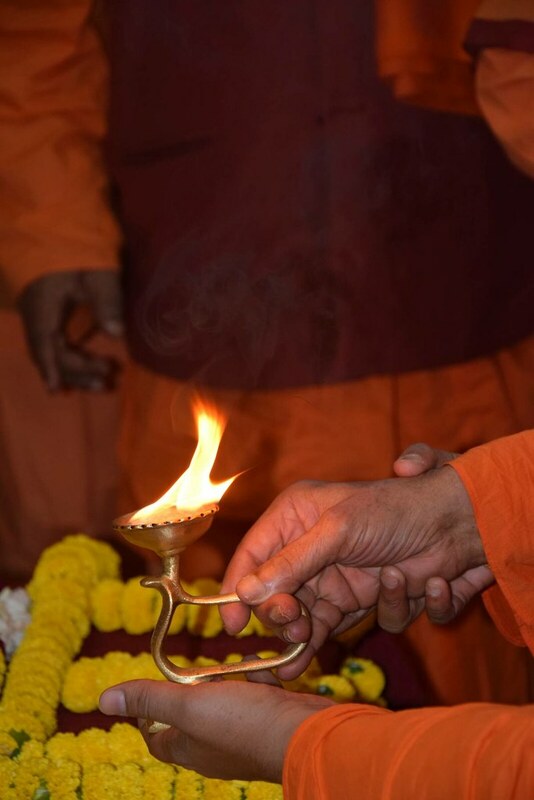 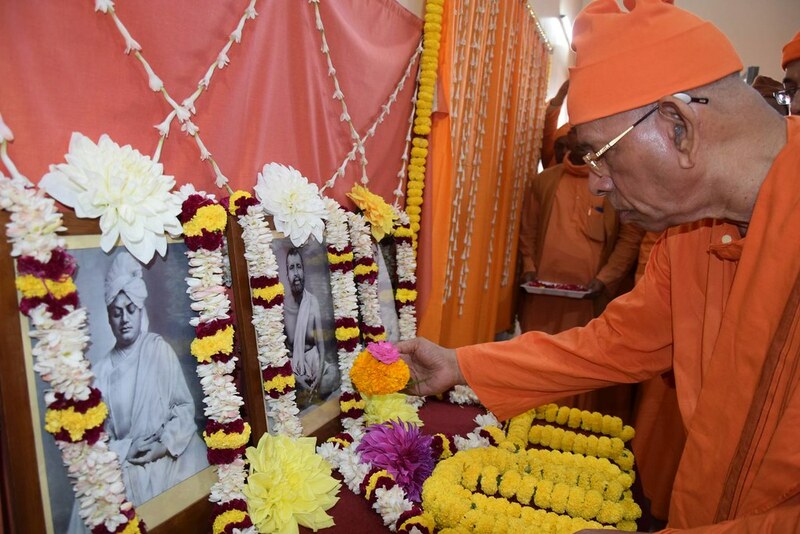 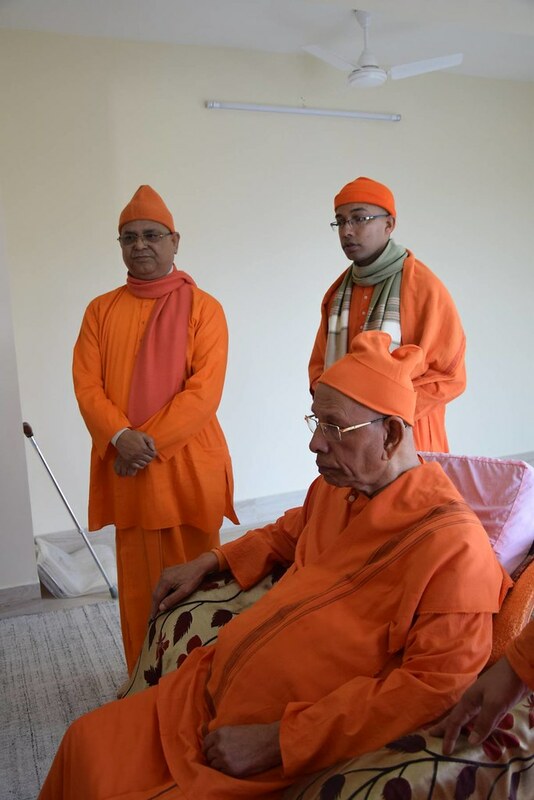 The Monks’ Quarters of “Ramakrishna Mission Centre for Human Excellence and Social Sciences” (Viveka Tirtha) at New Town, Kolkata, has been inaugurated by Srimat Swami Smaranananda ji Maharaj, President of Ramakrishna Math & Ramakrishna Mission, on Wednesday, 6 February 2019, the sacred birthday of Swami Brahmanandaji Maharaj. 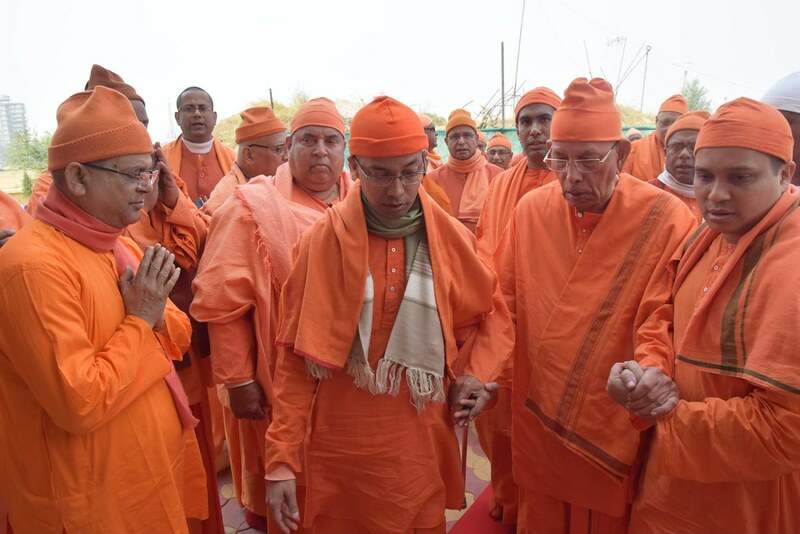 In 2013 the Govt. 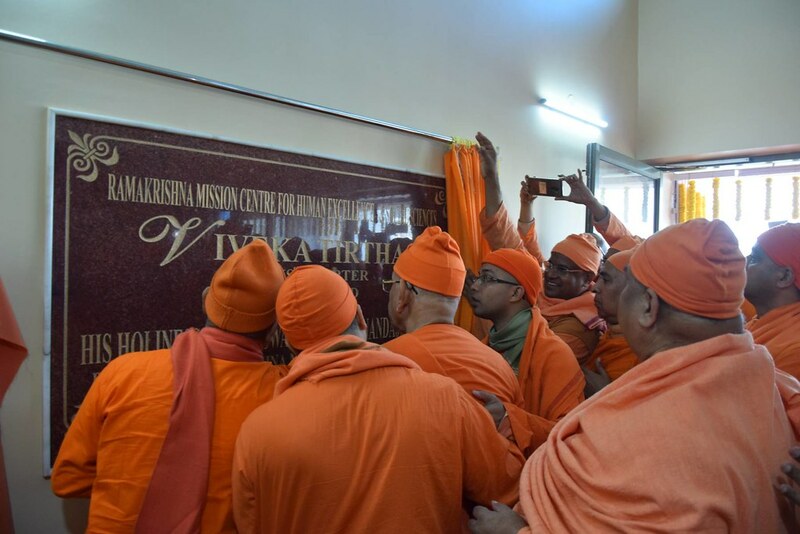 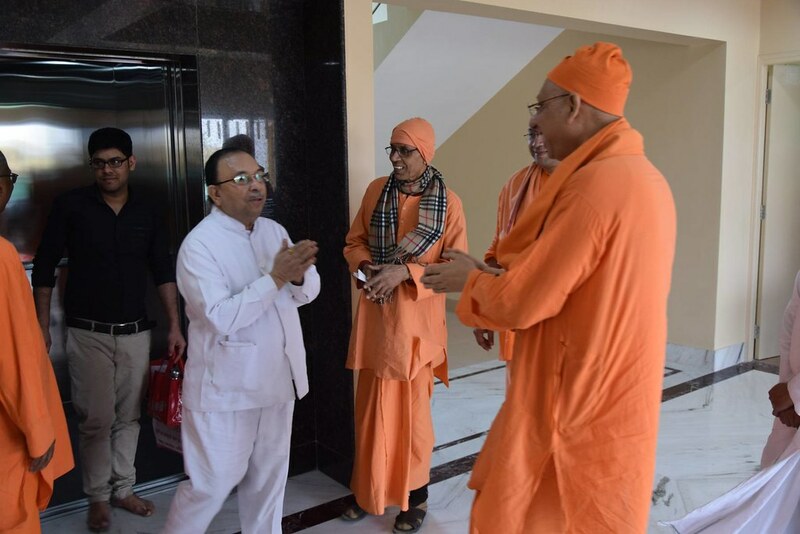 of West Bengal presented a proposal to the Ramakrishna Mission to start a Centre for Human Excellence to provide character-building education as set forth by Swami Vivekananda. 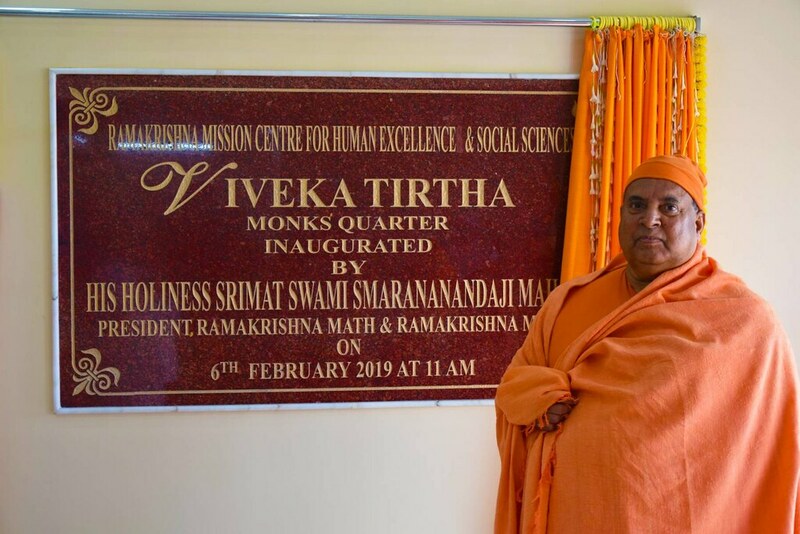 The Mission accepted the proposal to set up such a centre, which will include additional facilities for conducting research at various levels in Arts, Humanities and Social Sciences, with a special emphasis on values education. 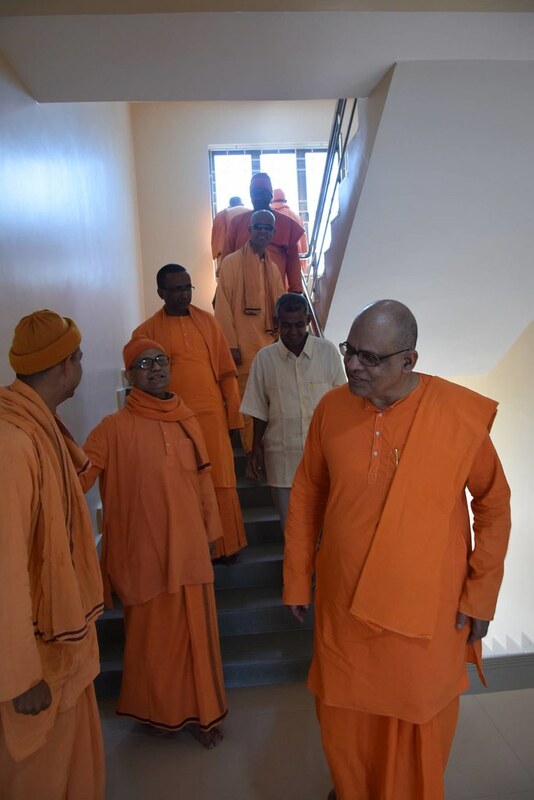 Subsequently, the Govt. 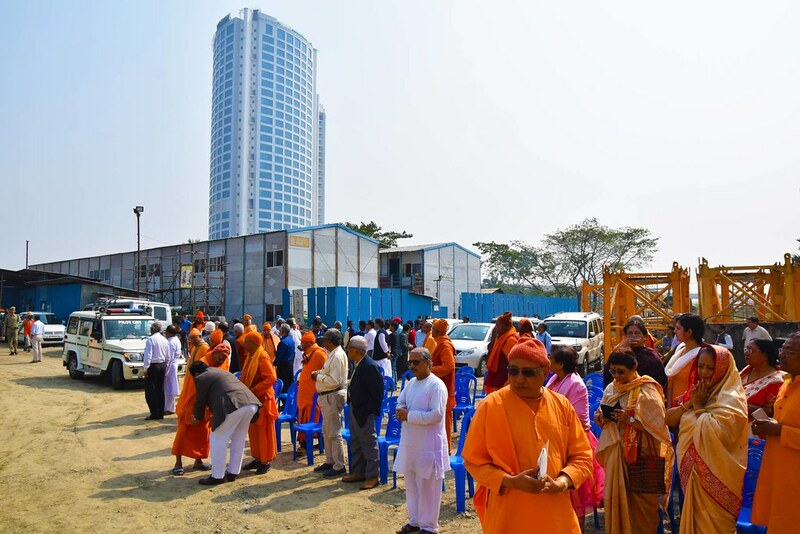 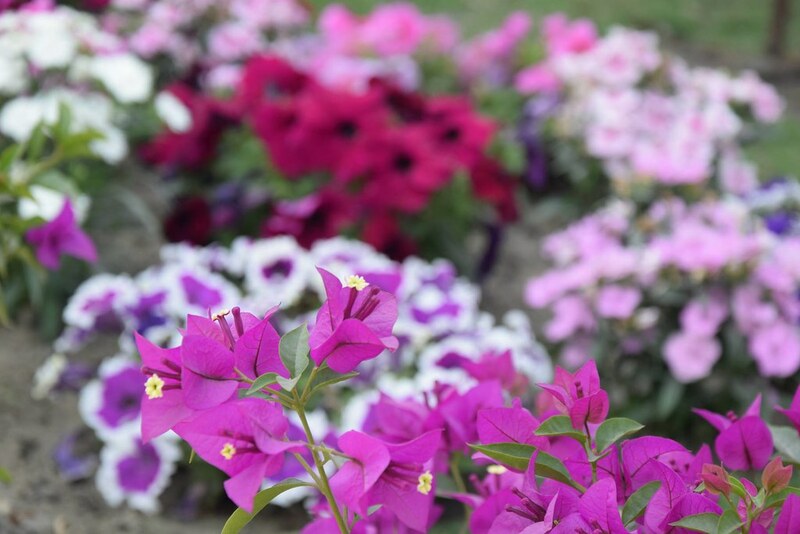 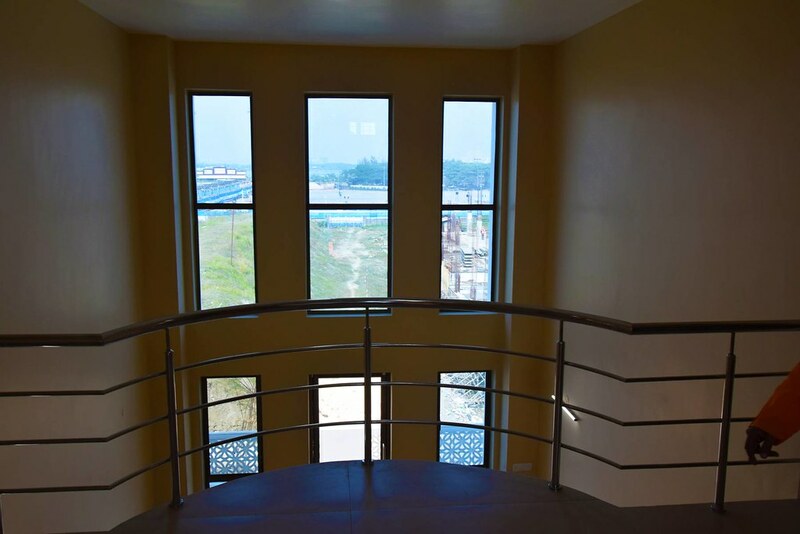 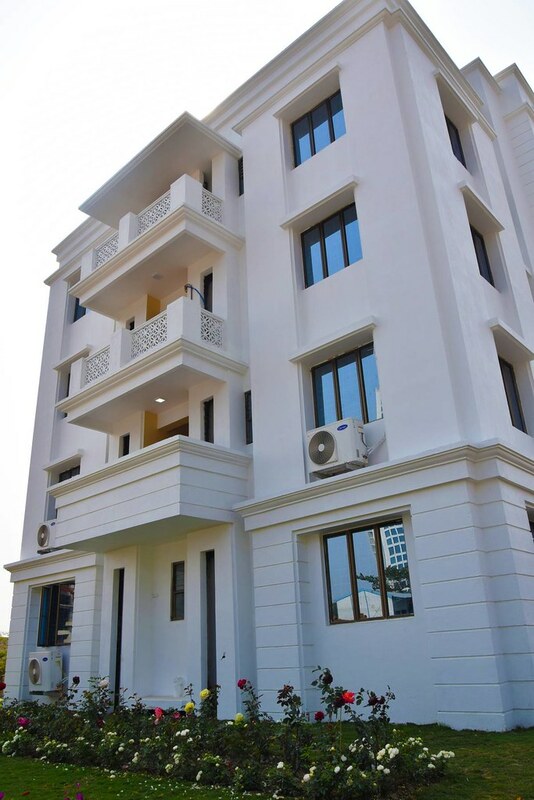 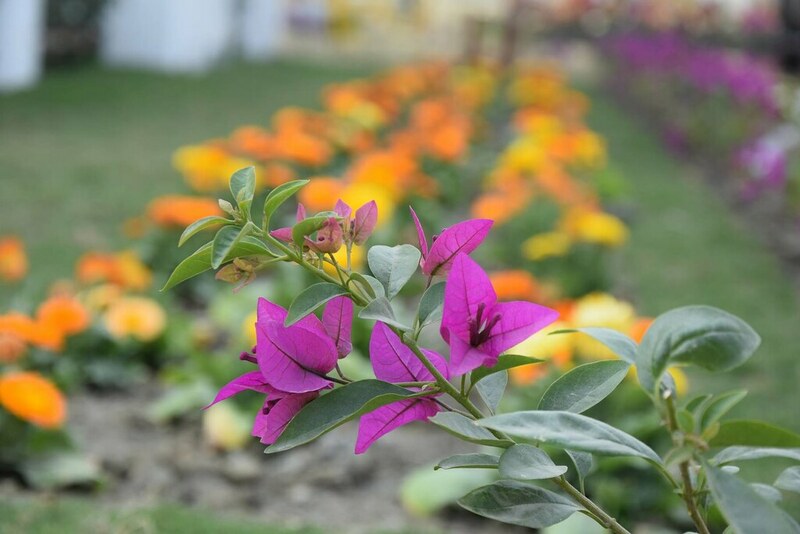 of West Bengal provided a five-acre plot of land to the Mission at a very prime location in New Town, Kolkata, and also granted some money for this purpose. 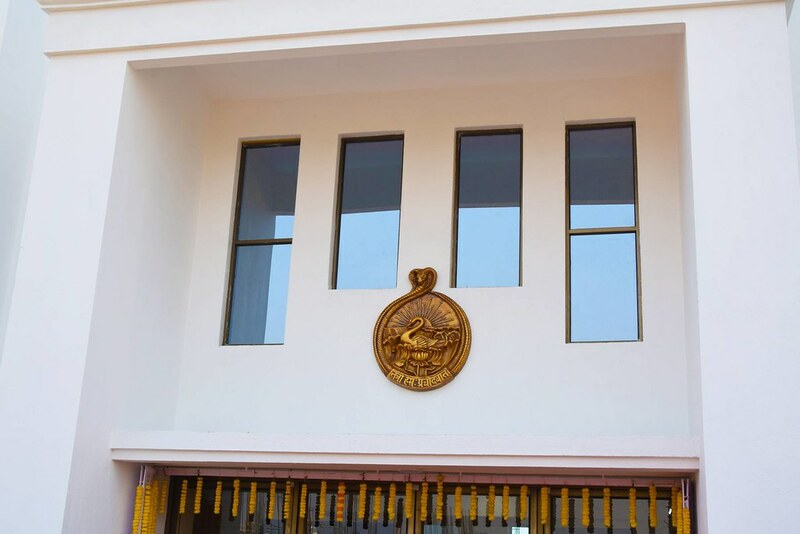 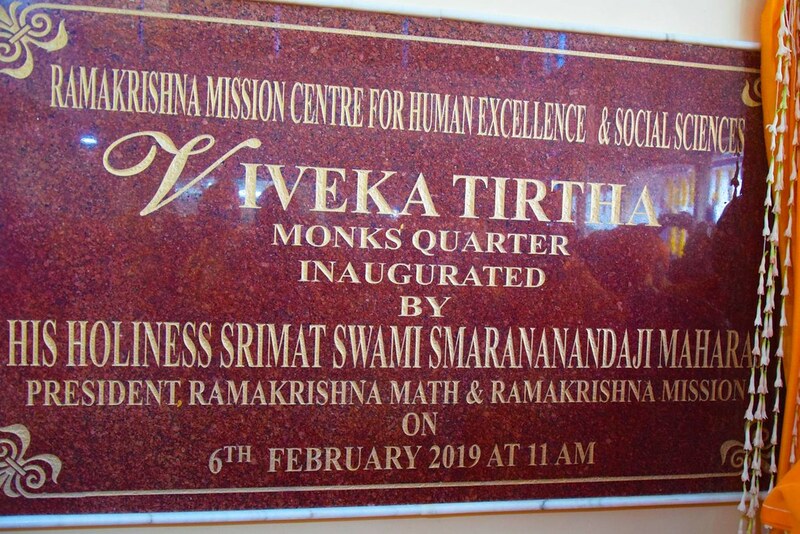 The centre has been named Ramakrishna Mission Centre for Human Excellence and Social Sciences, and is also known as “Viveka Tirtha”. 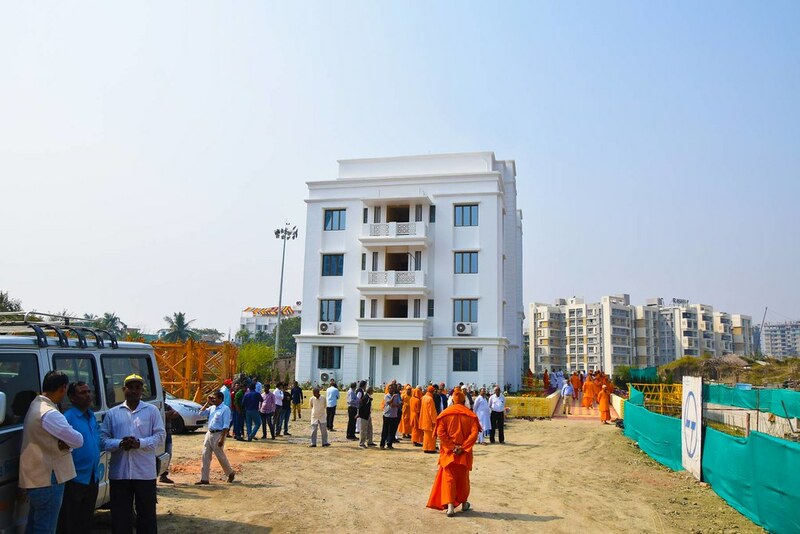 The centre is envisaged to have five buildings, viz. 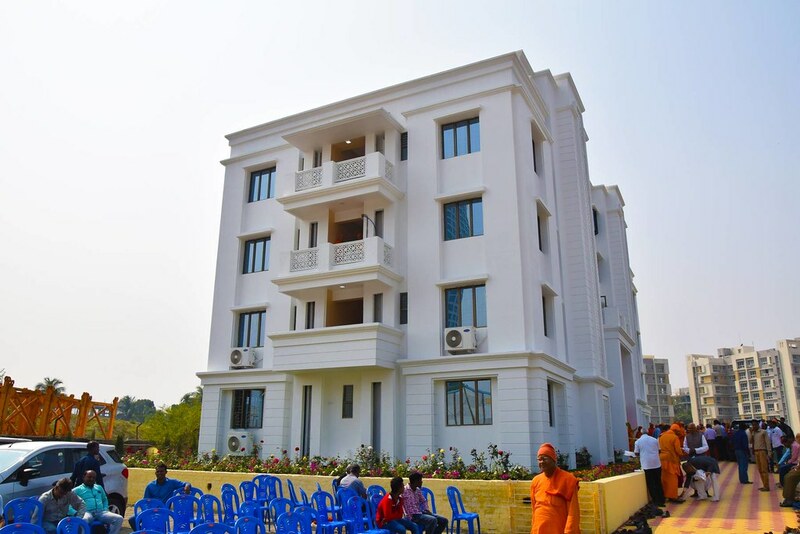 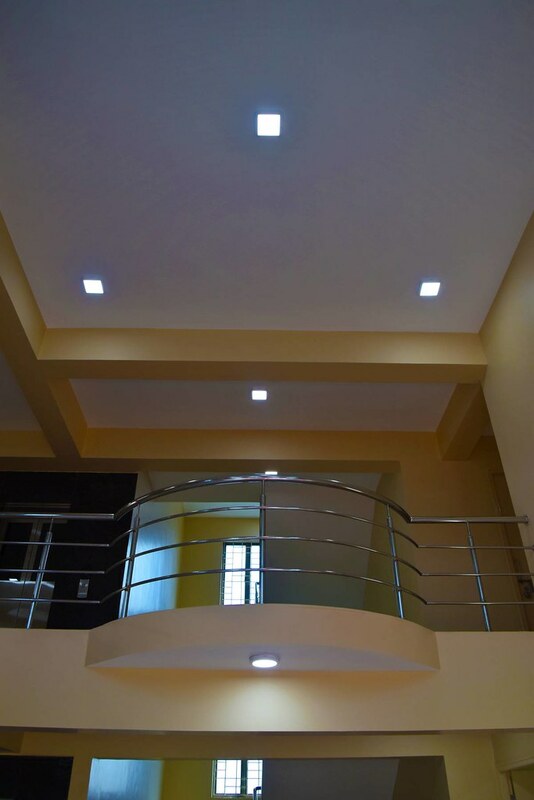 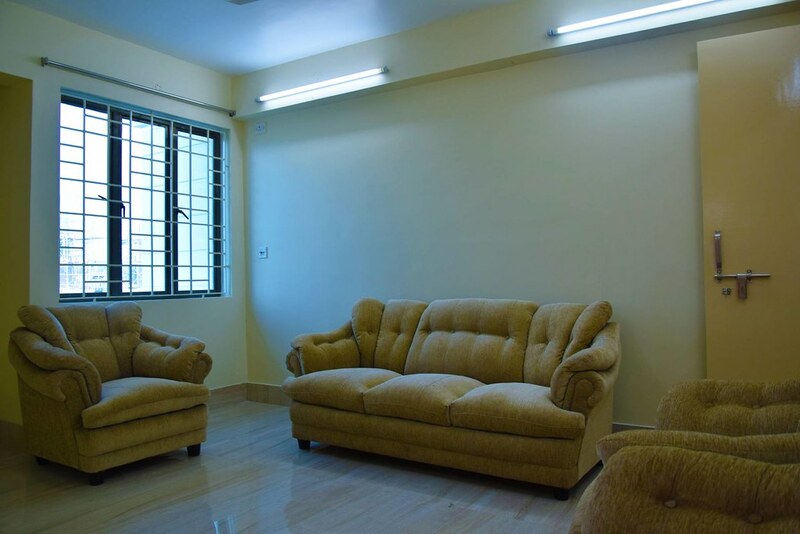 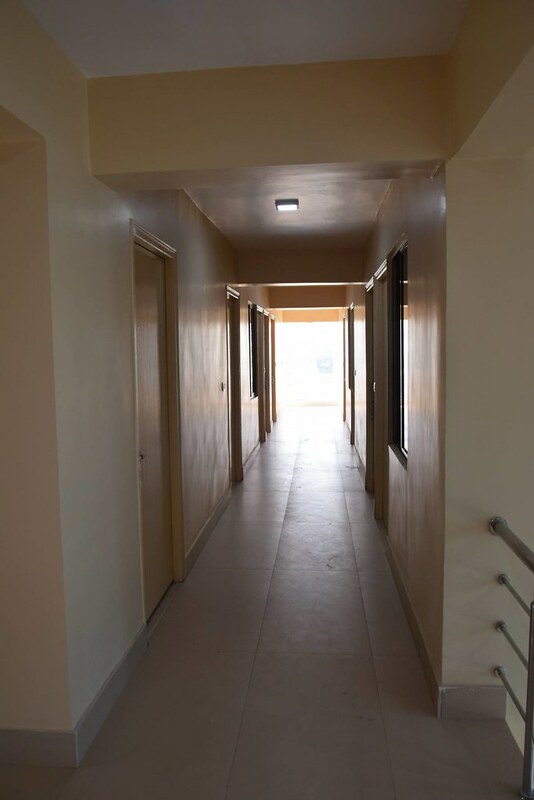 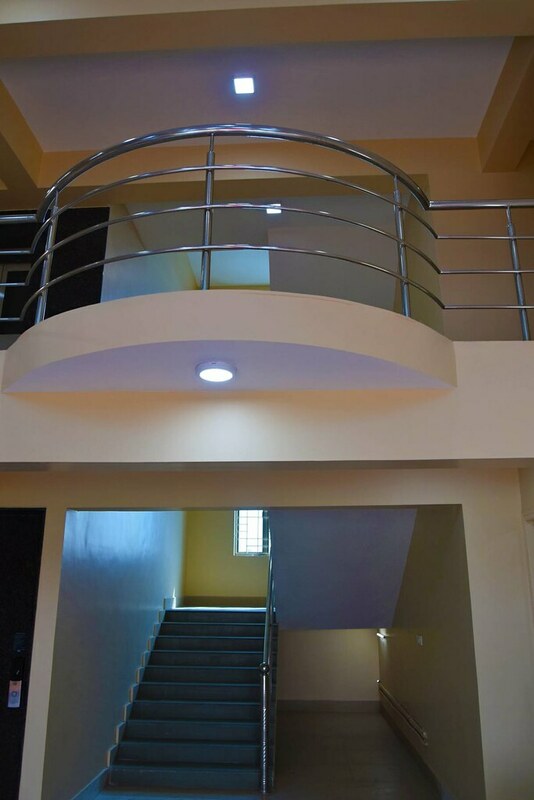 Human Excellence Building (Basement+G+ 10), Vivekananda Auditorium (G+3), Hostel & Guest House (G+4), Monks’ Quarters (G+4) and Staff Quarters (G+4). 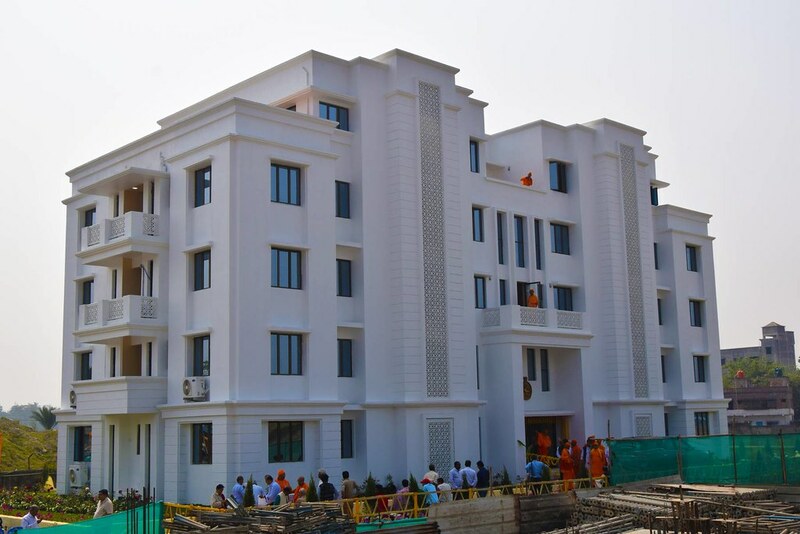 The whole project is estimated to cost Rs 141 crore. 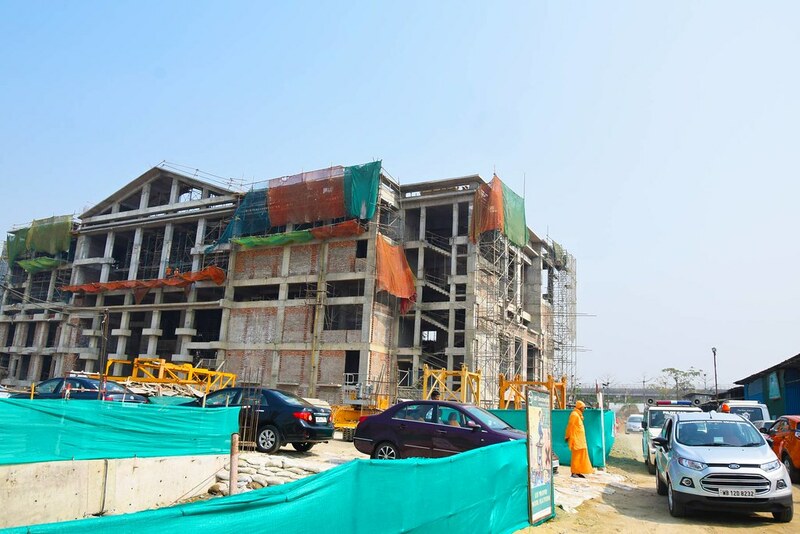 The Vivekananda Auditorium and the Human Excellence buildings are presently under construction. 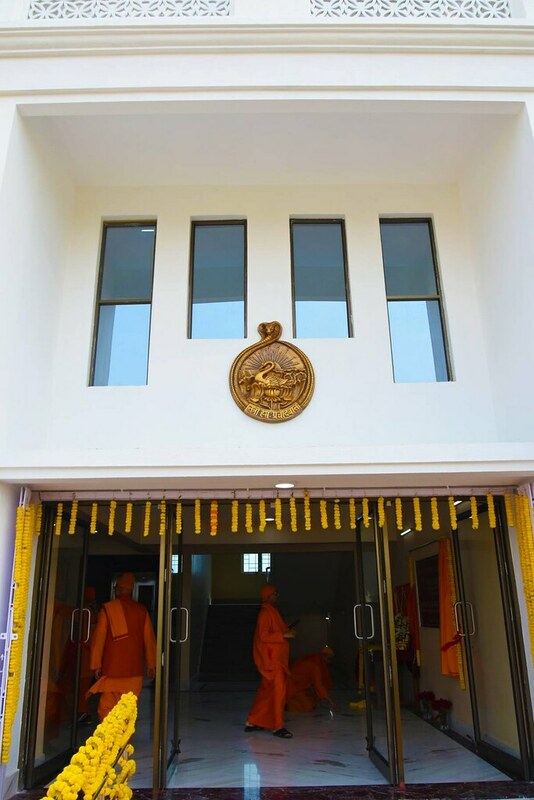 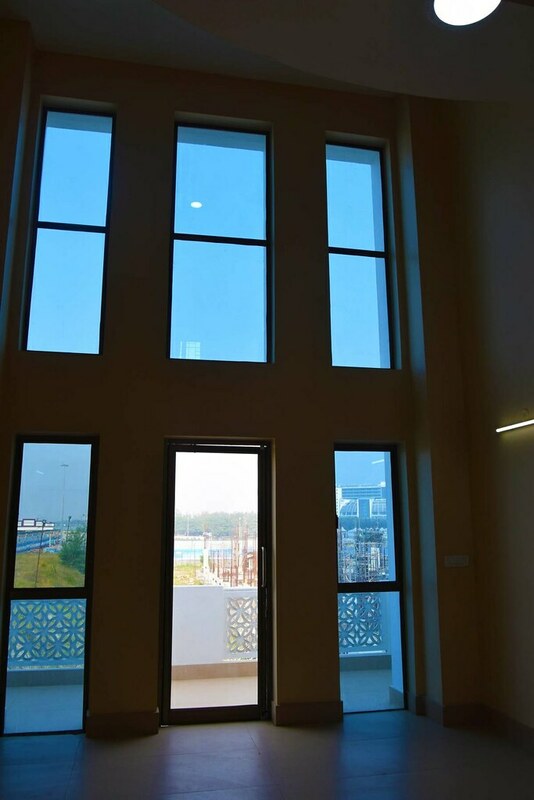 The building being inaugurated will serve as the Monks’ Quarters and, for the time being, also as the Administrative Office. 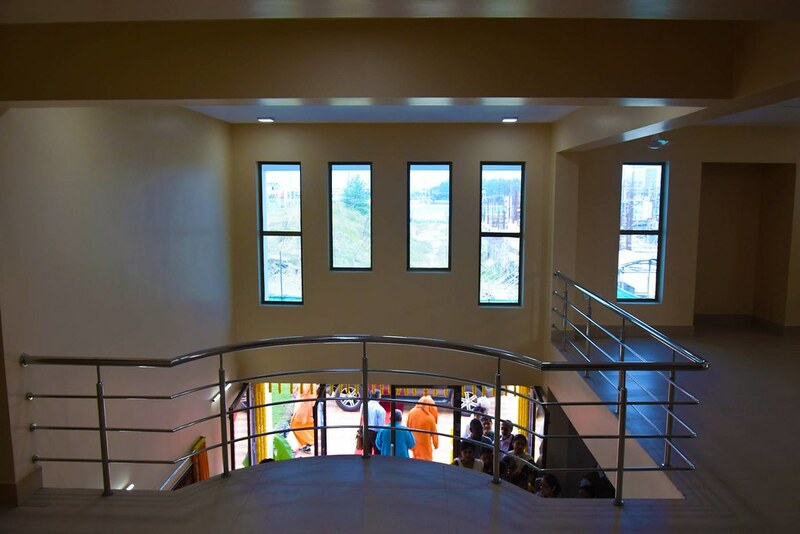 Some proposed activities will soon start at the centre.